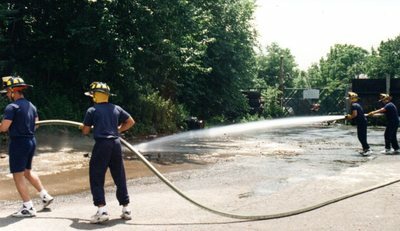 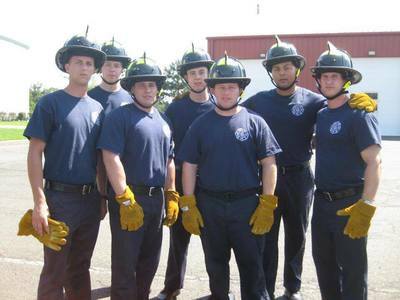 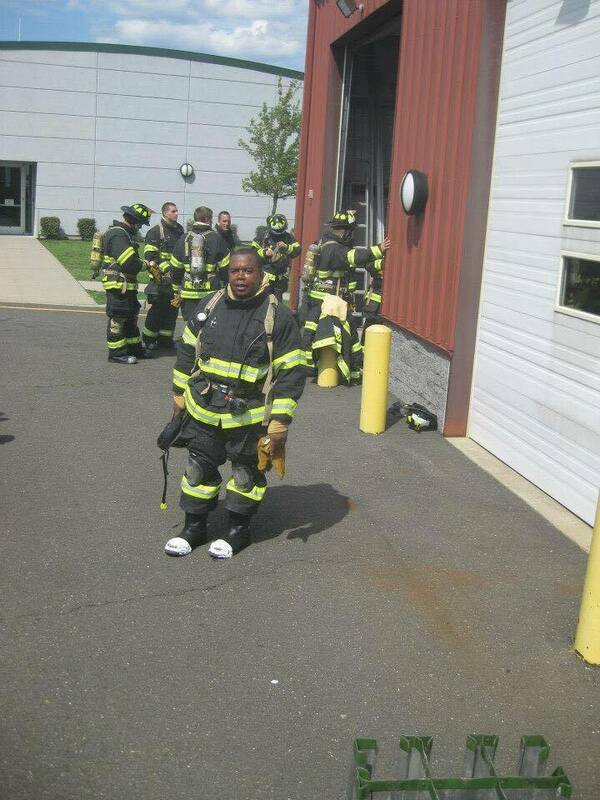 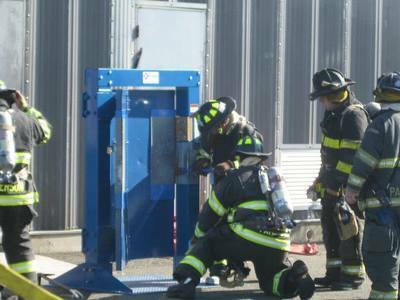 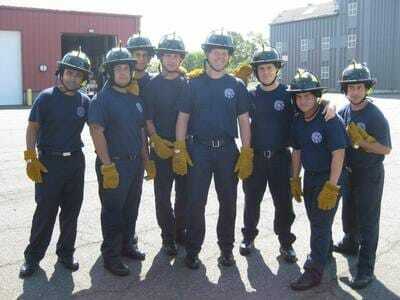 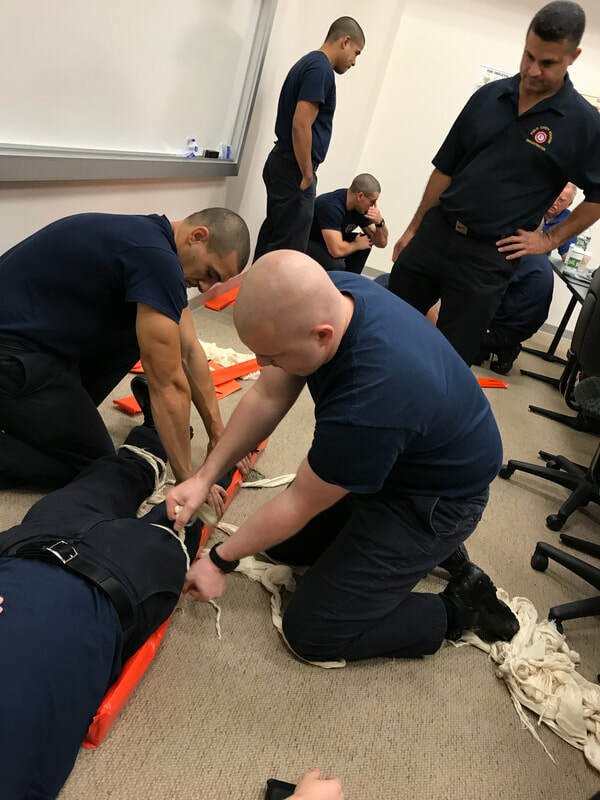 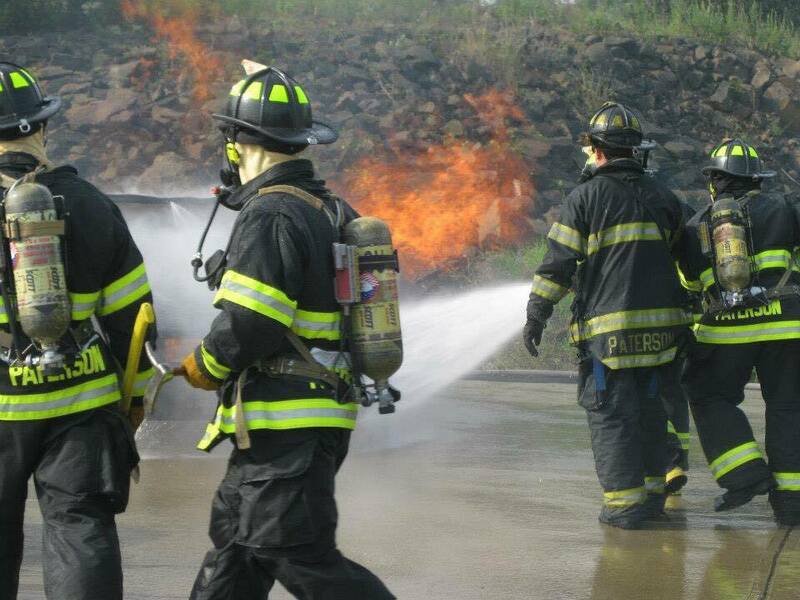 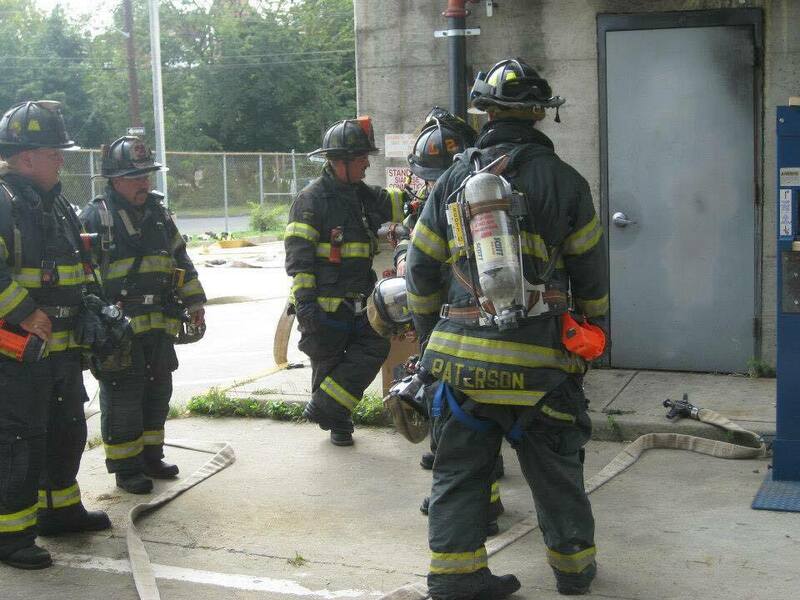 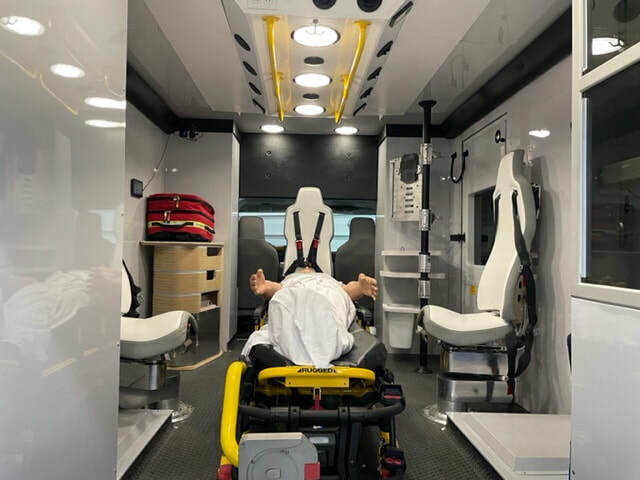 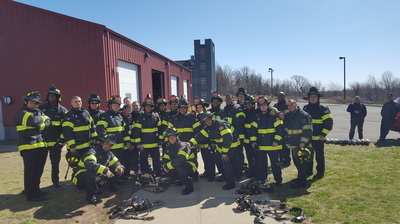 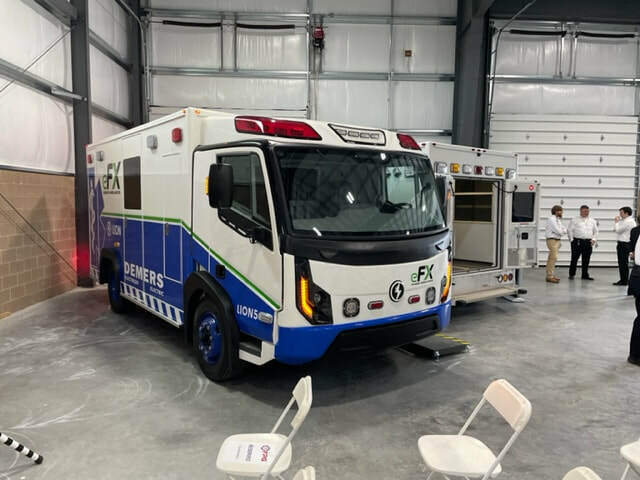 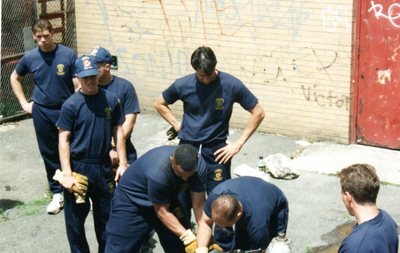 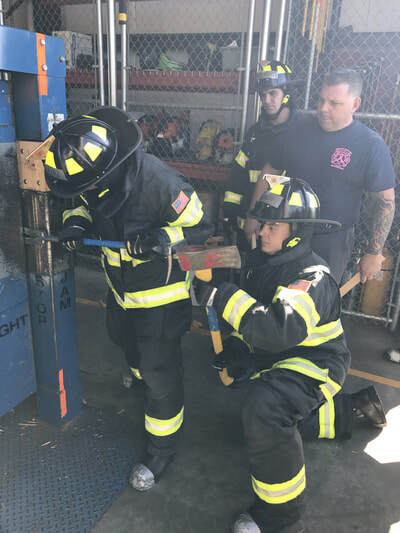 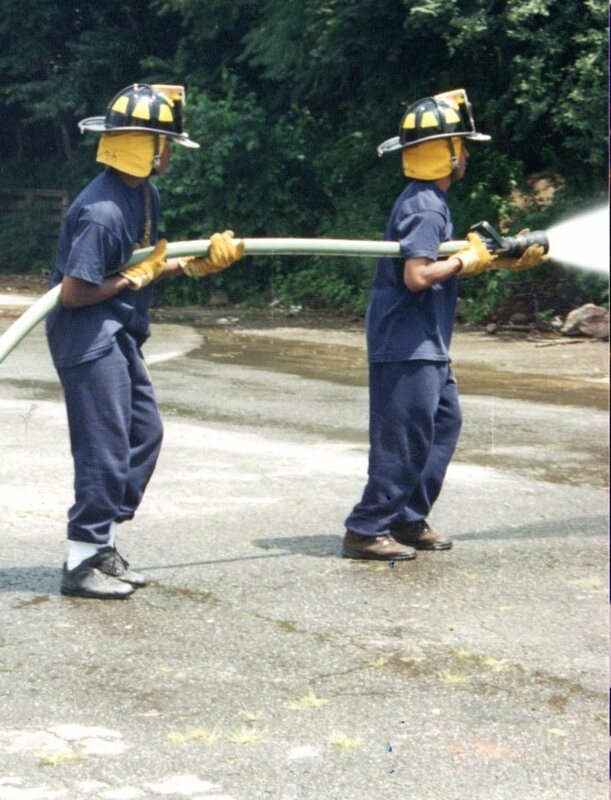 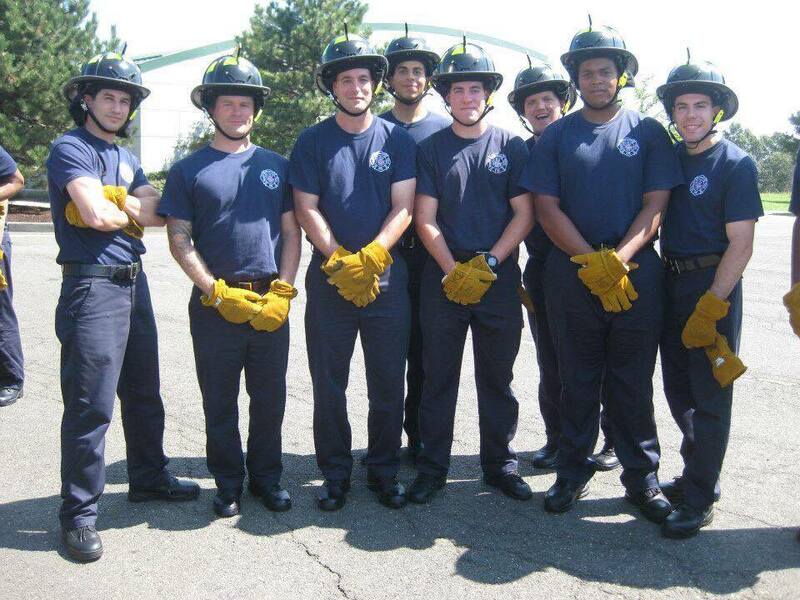 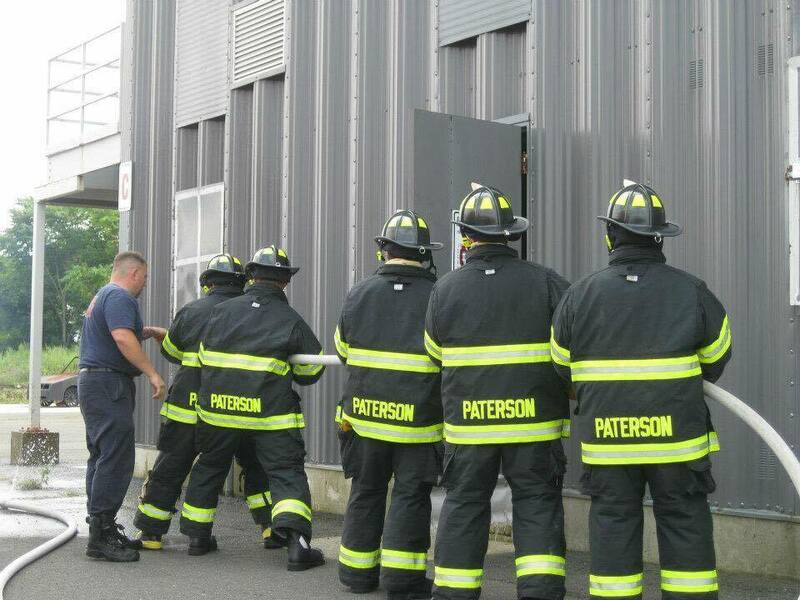 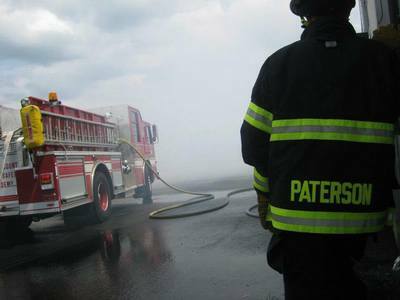 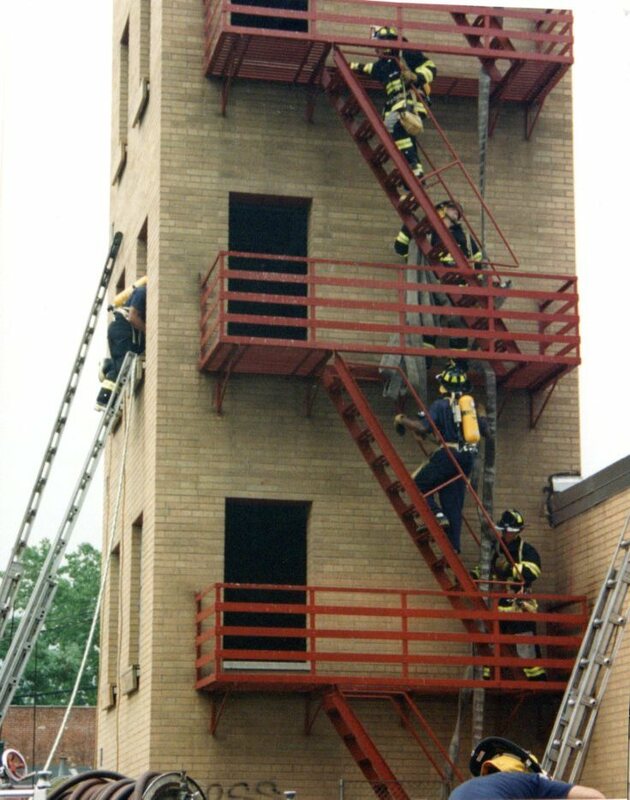 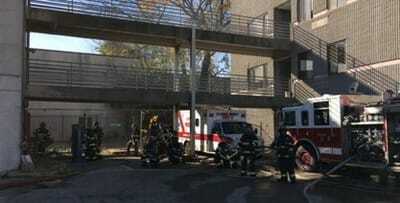 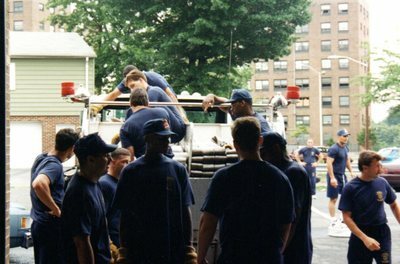 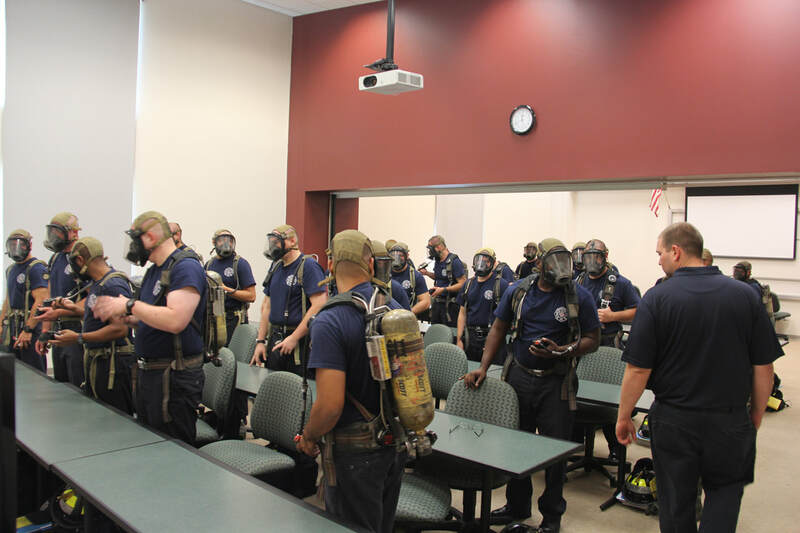 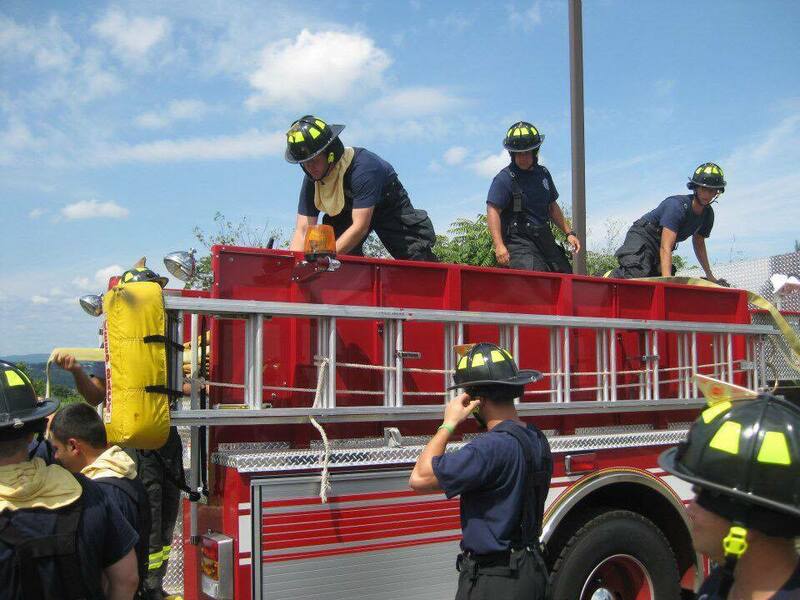 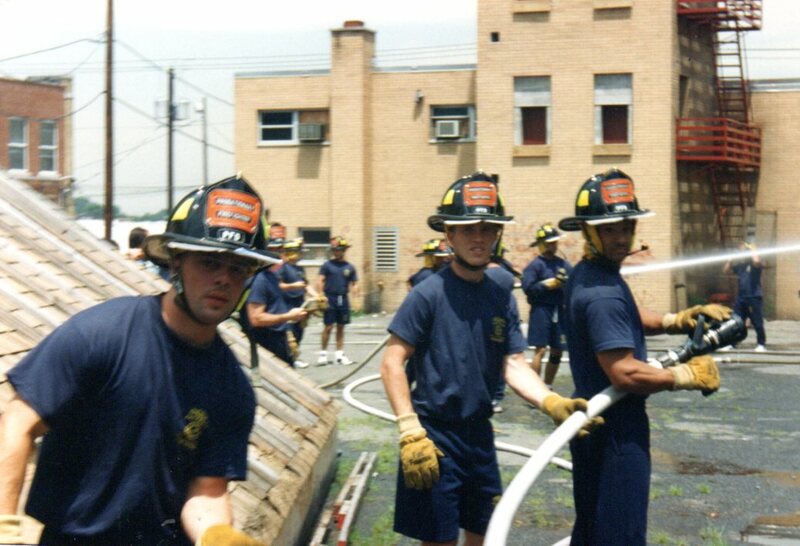 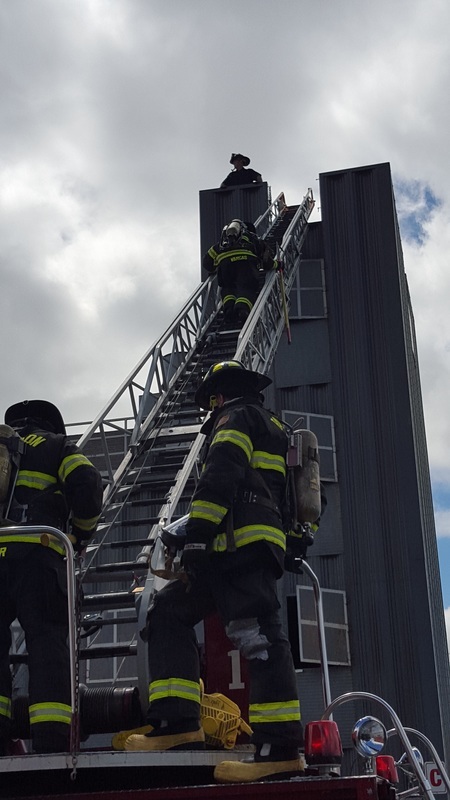 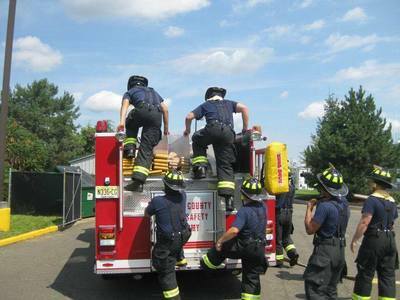 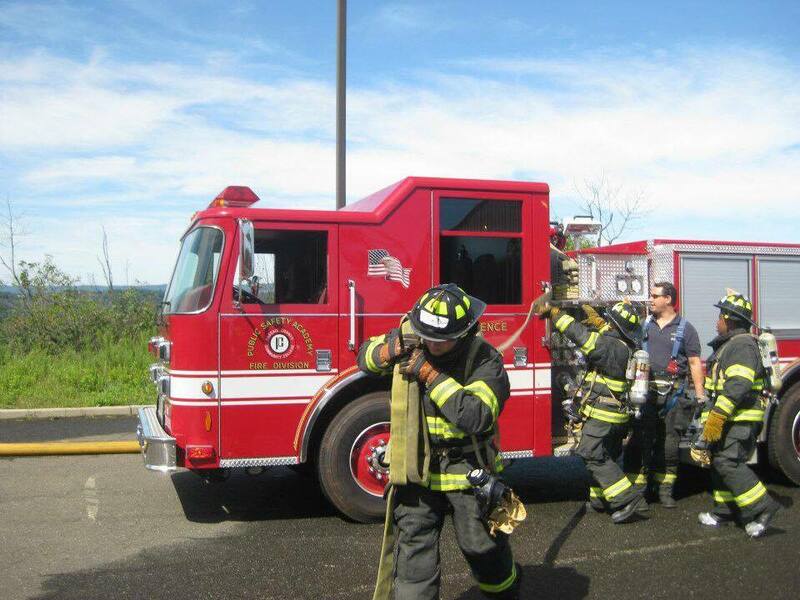 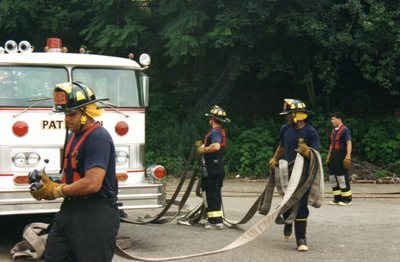 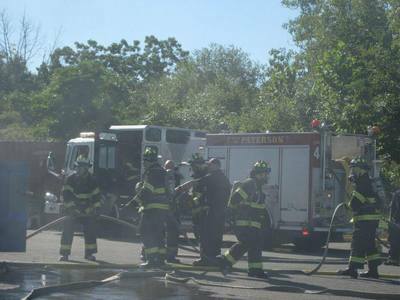 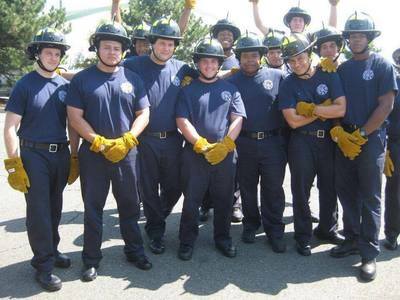 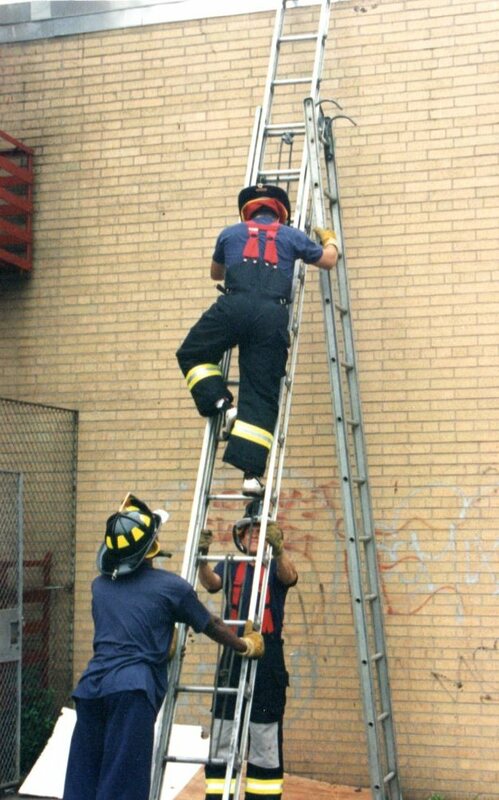 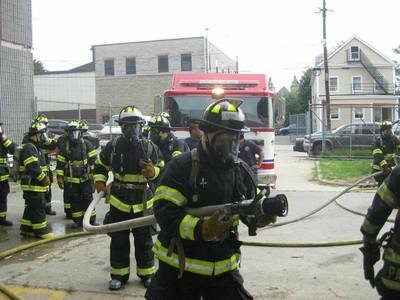 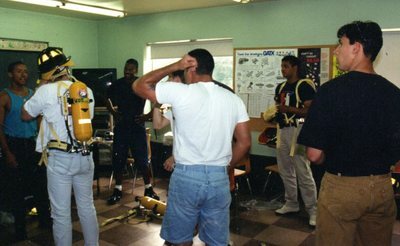 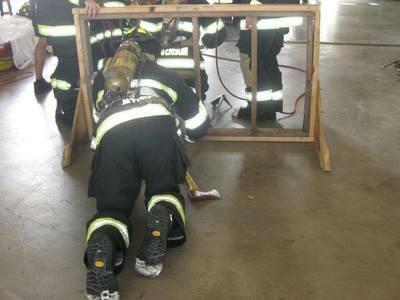 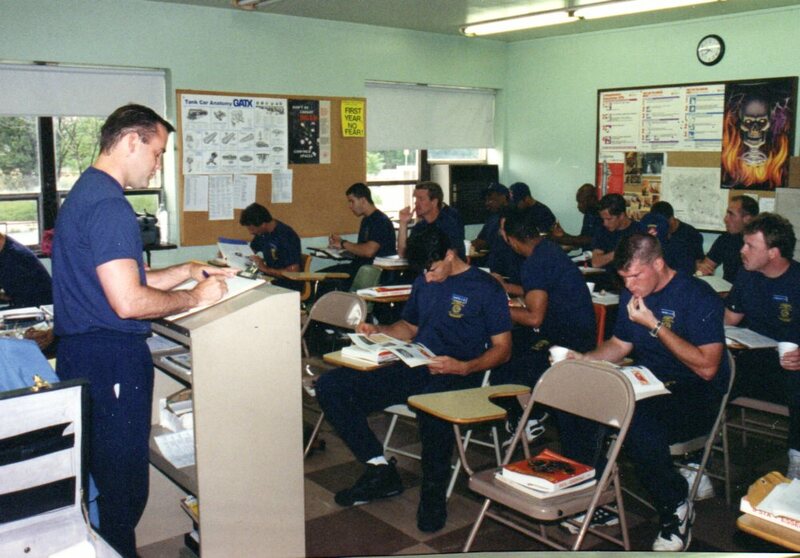 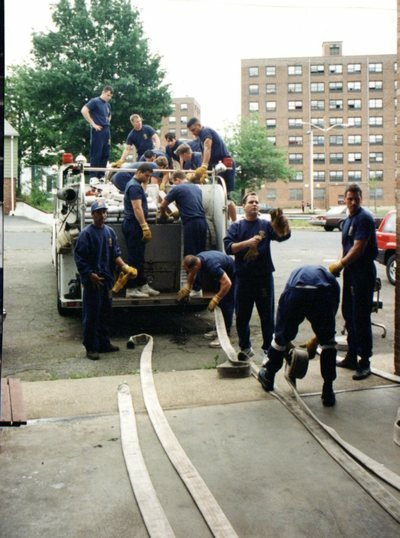 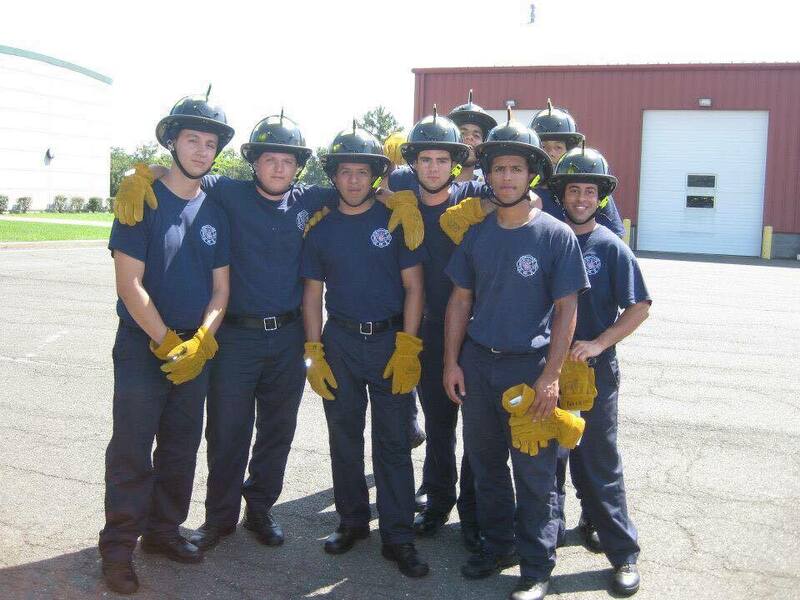 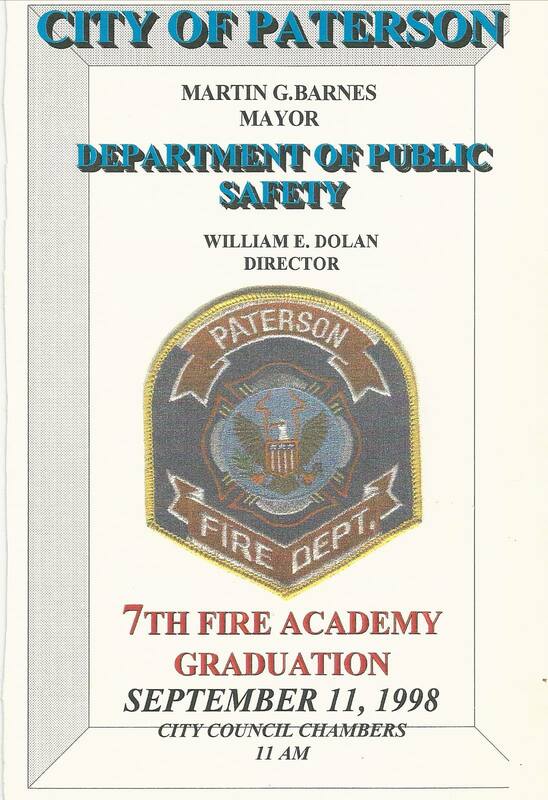 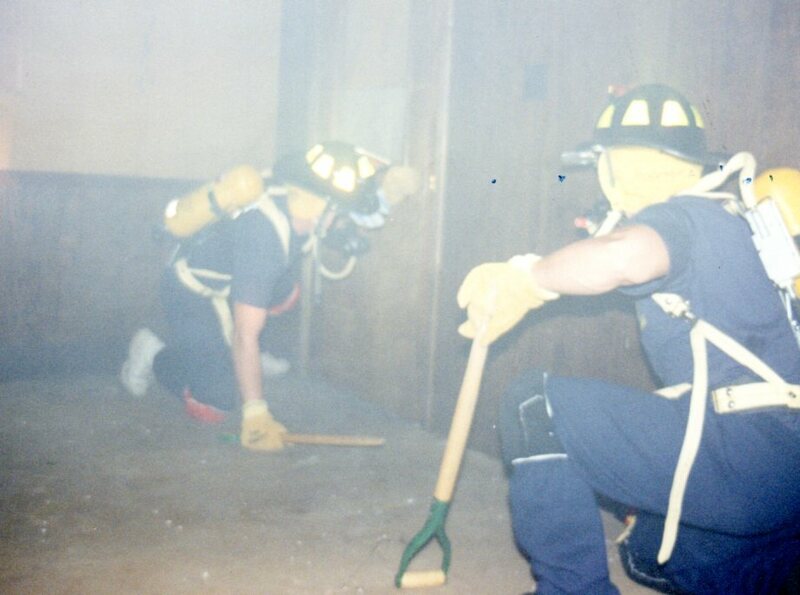 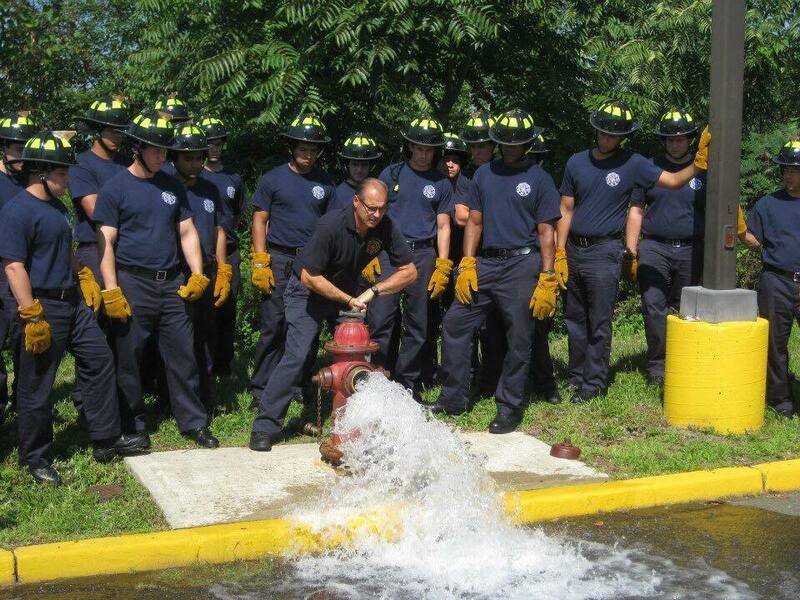 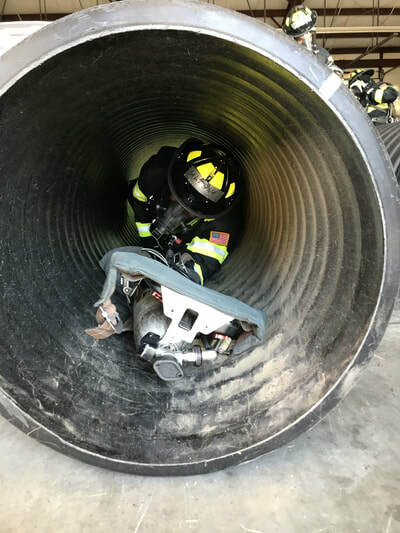 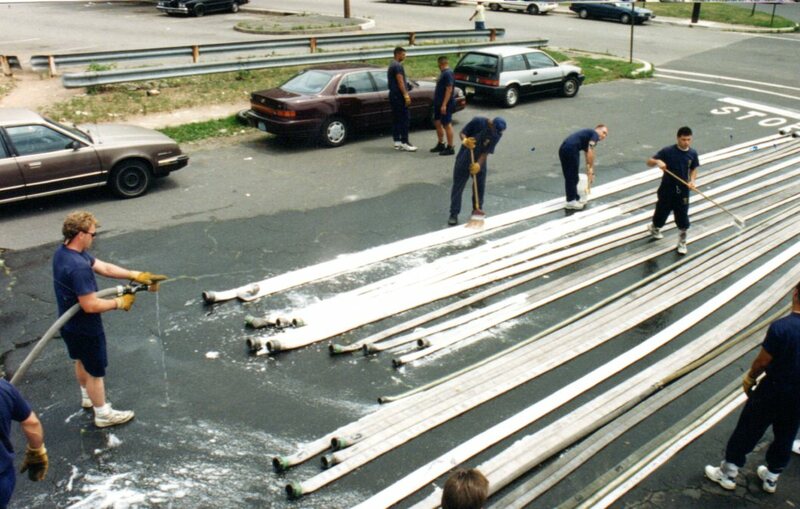 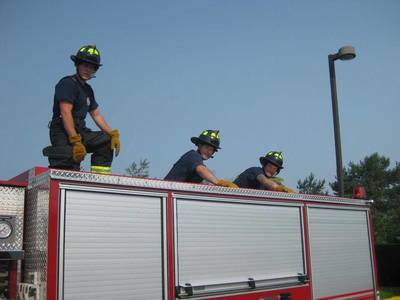 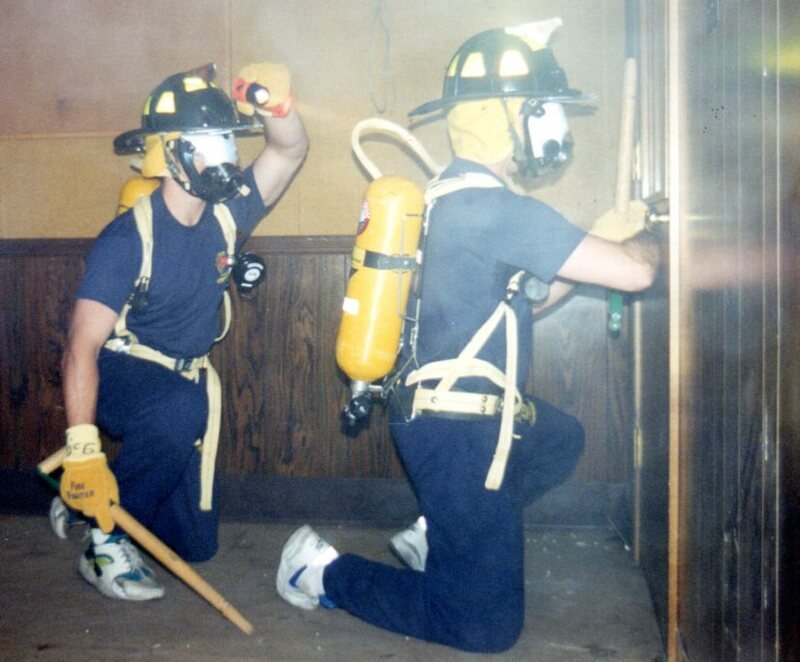 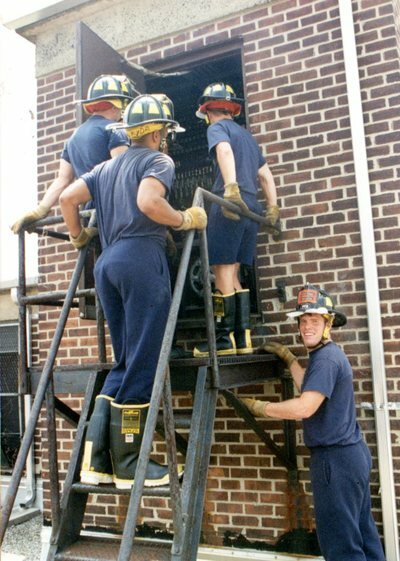 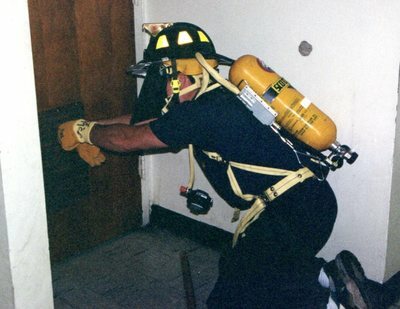 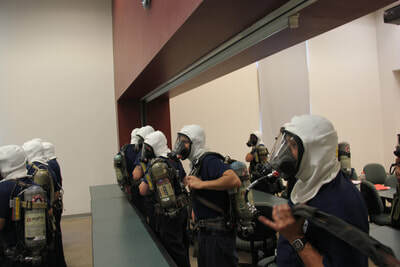 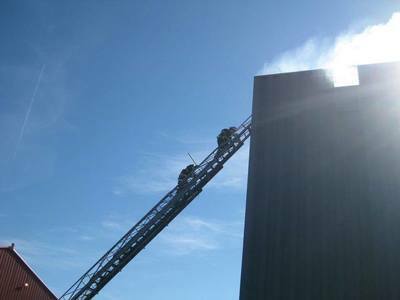 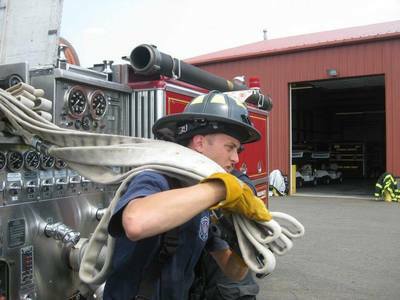 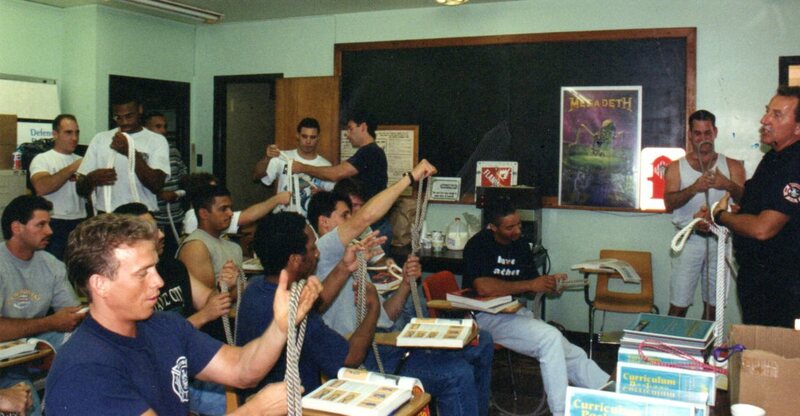 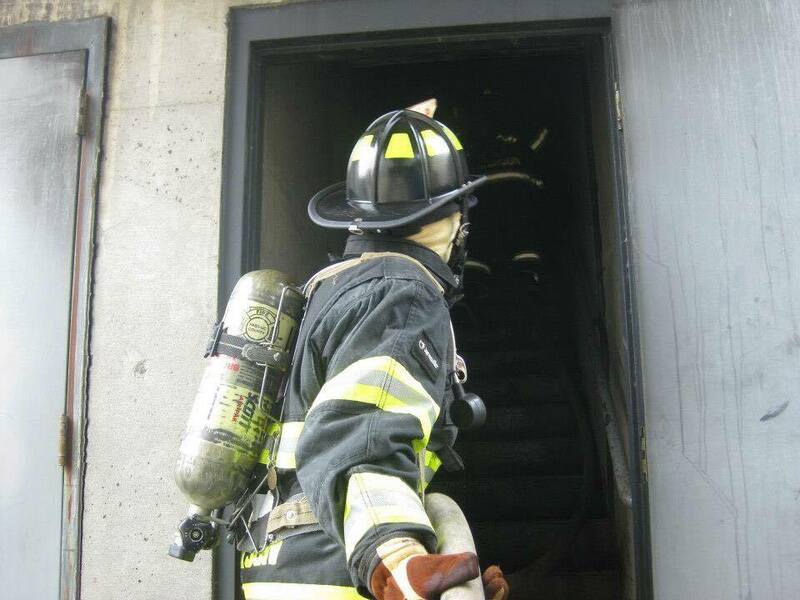 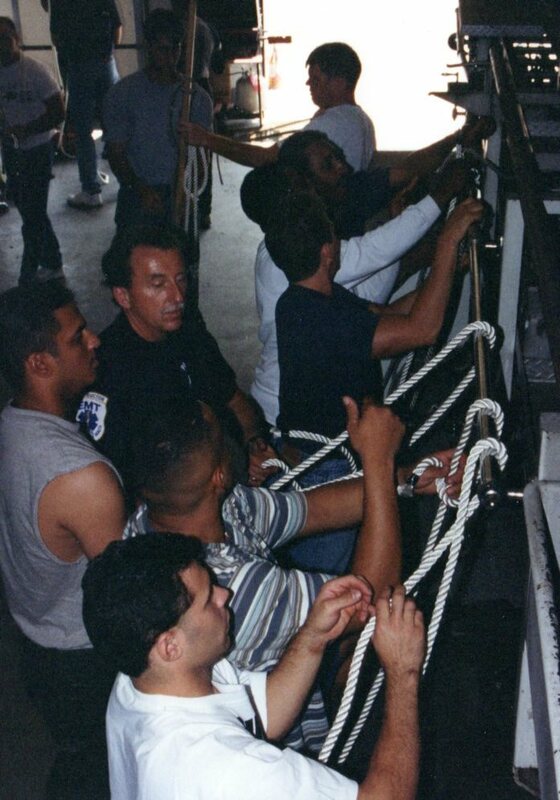 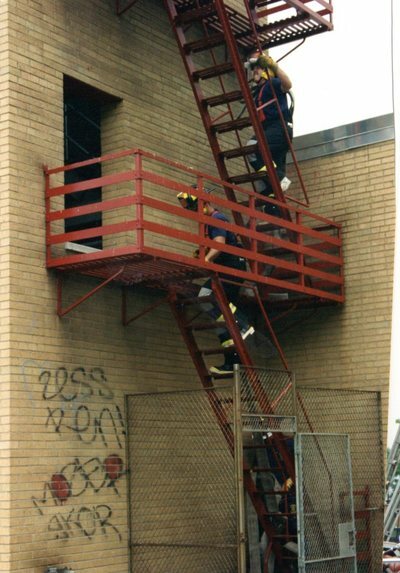 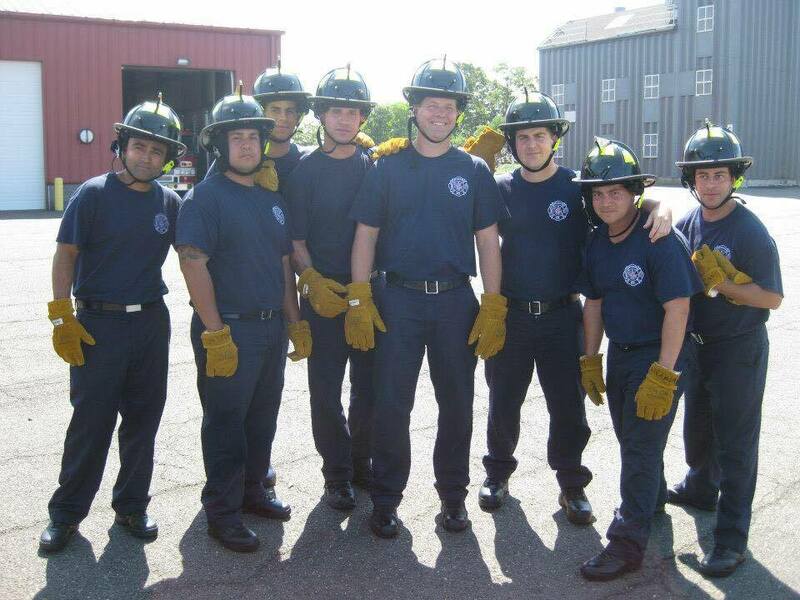 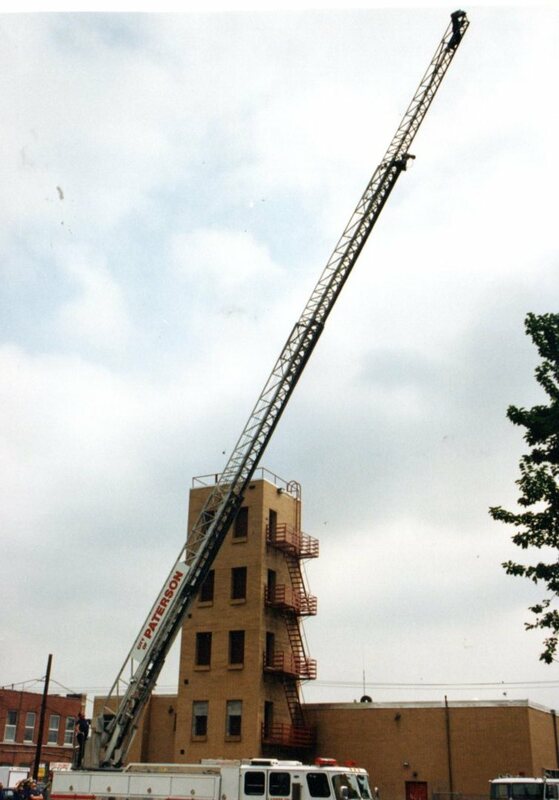 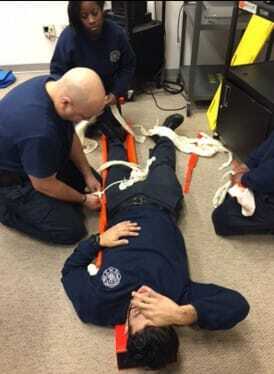 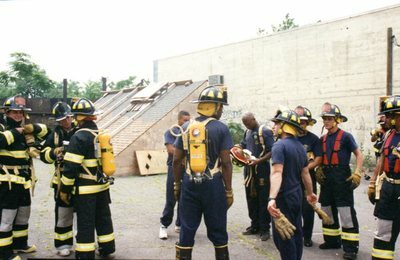 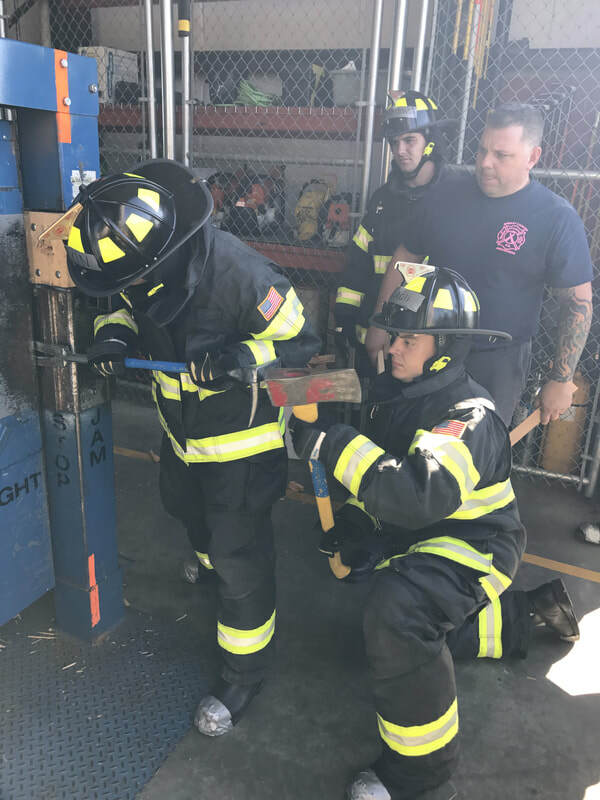 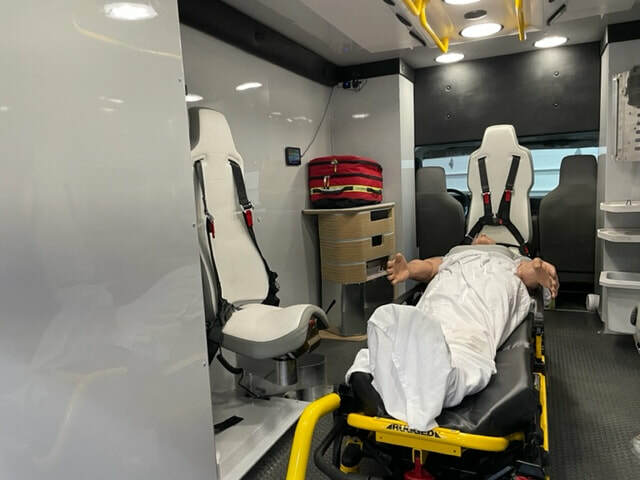 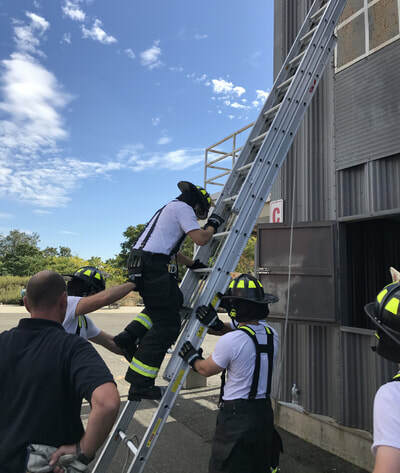 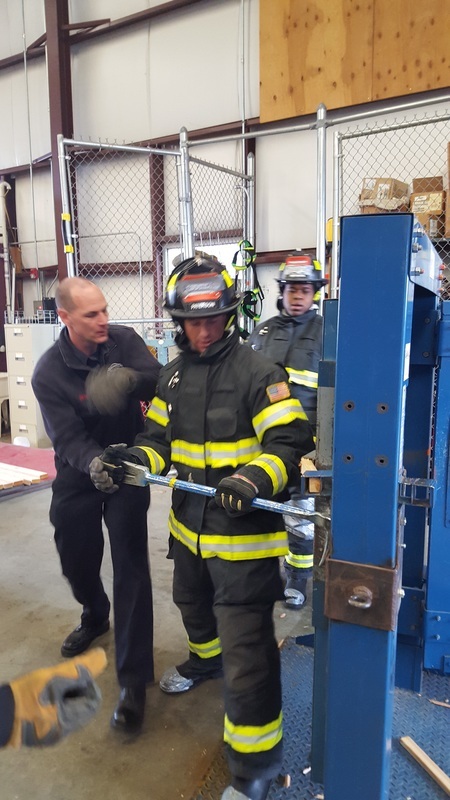 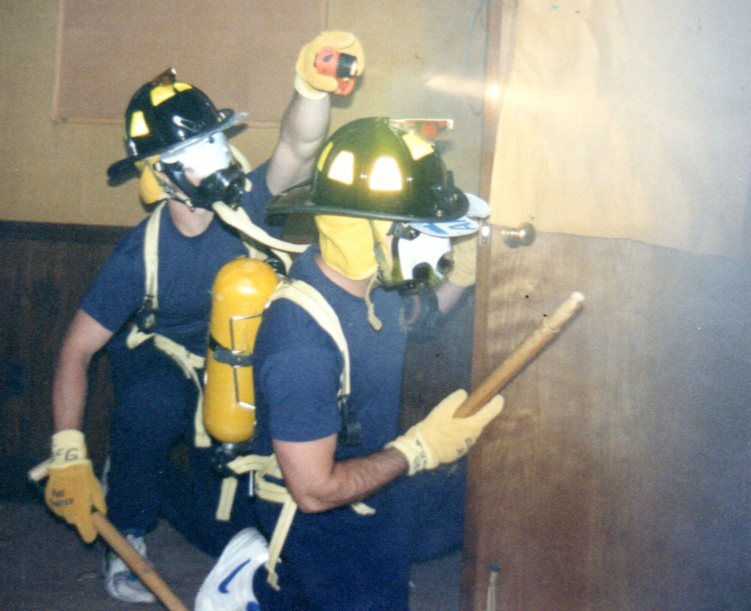 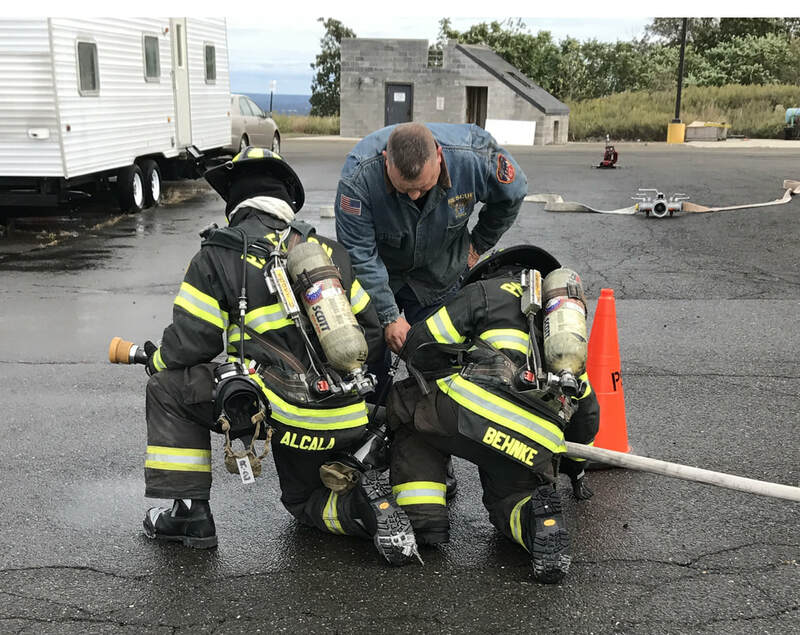 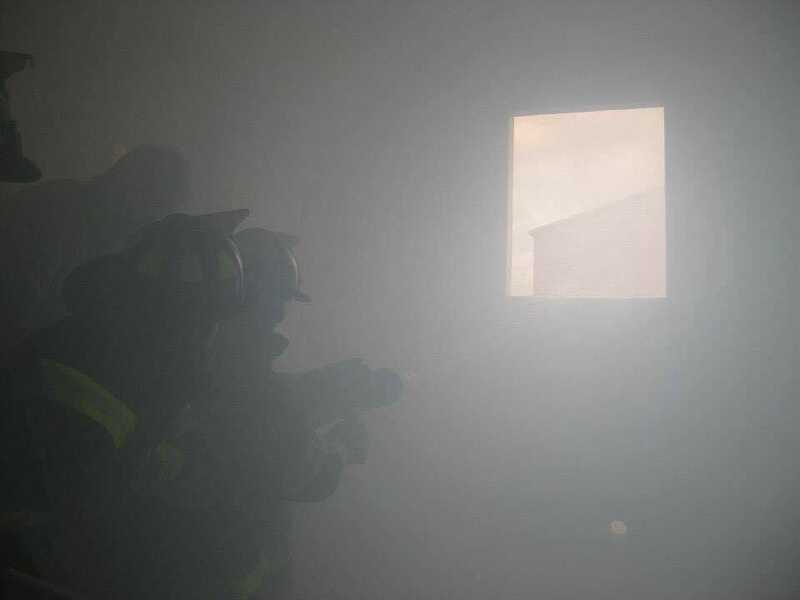 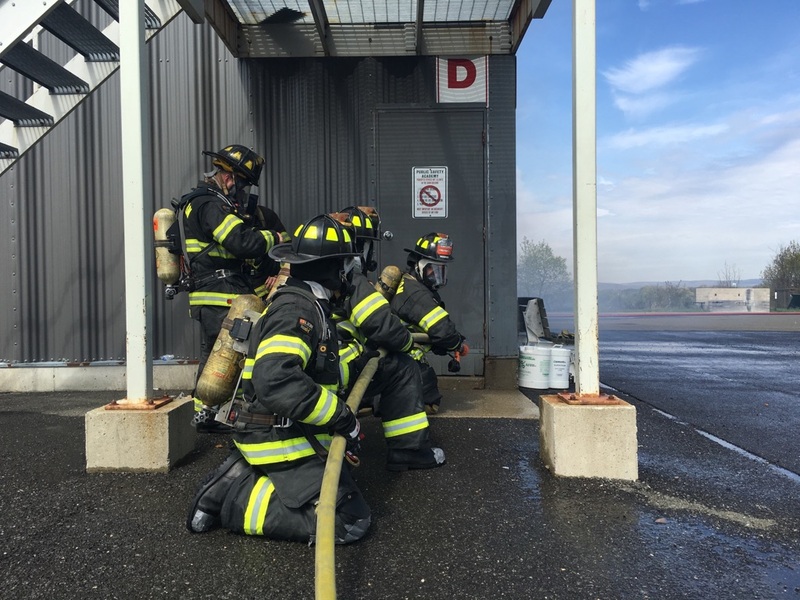 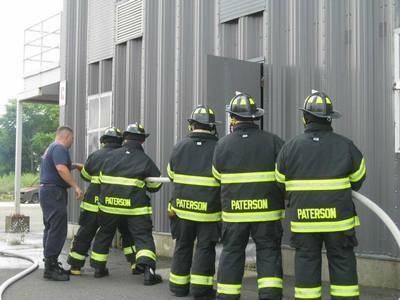 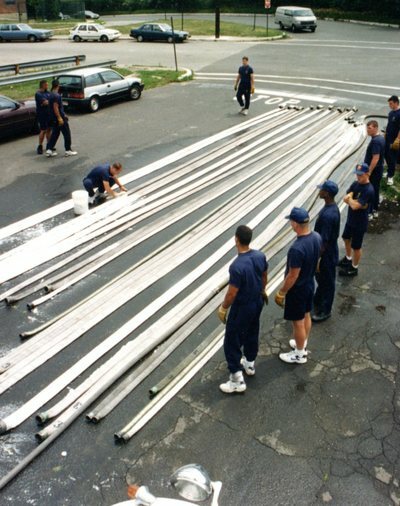 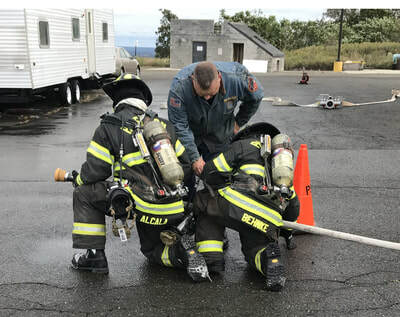 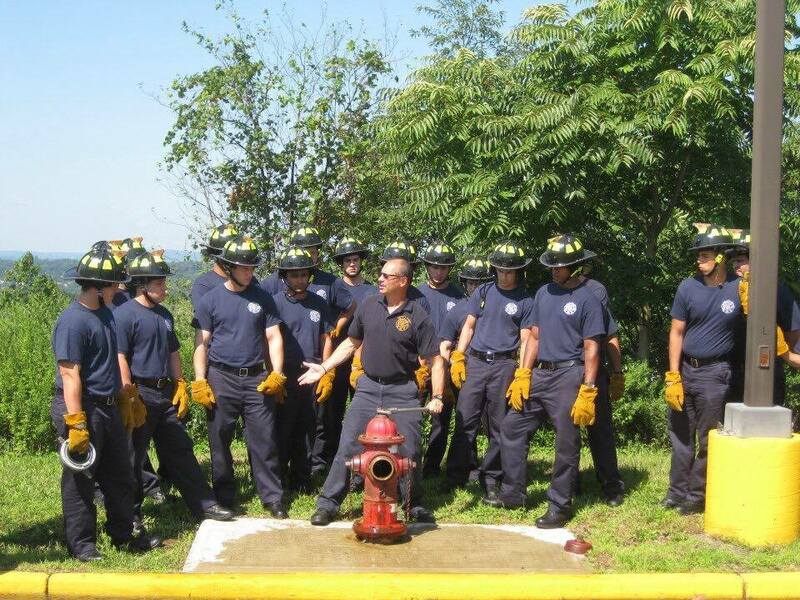 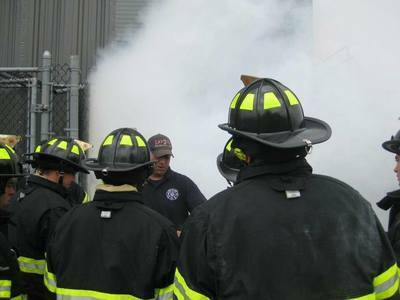 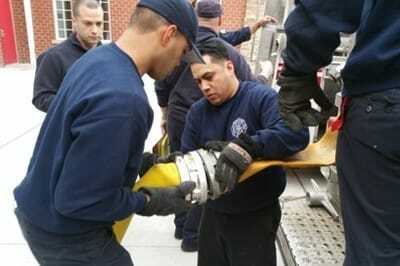 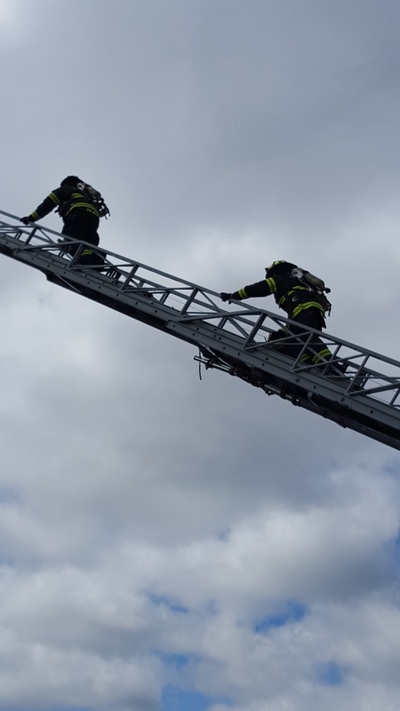 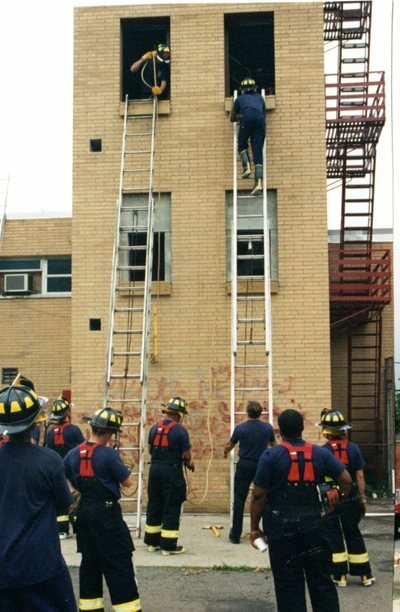 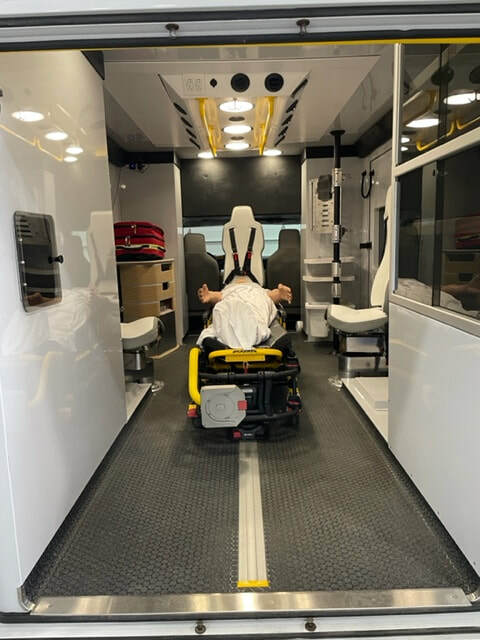 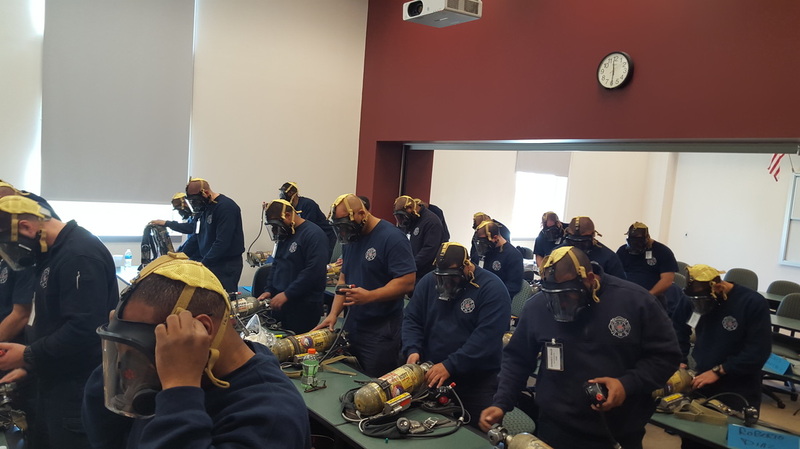 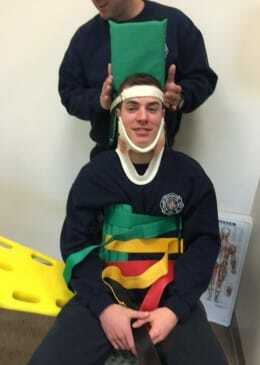 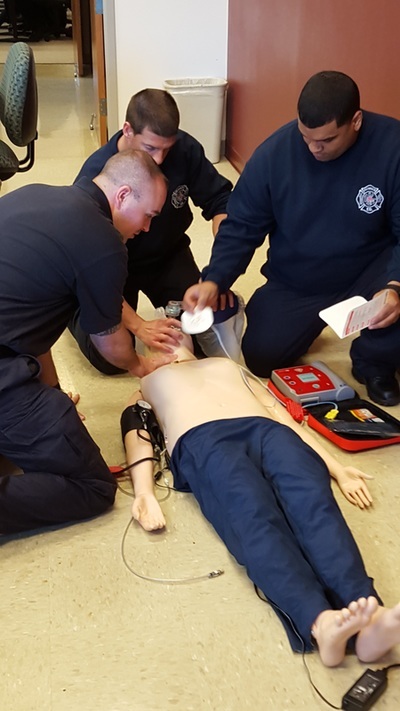 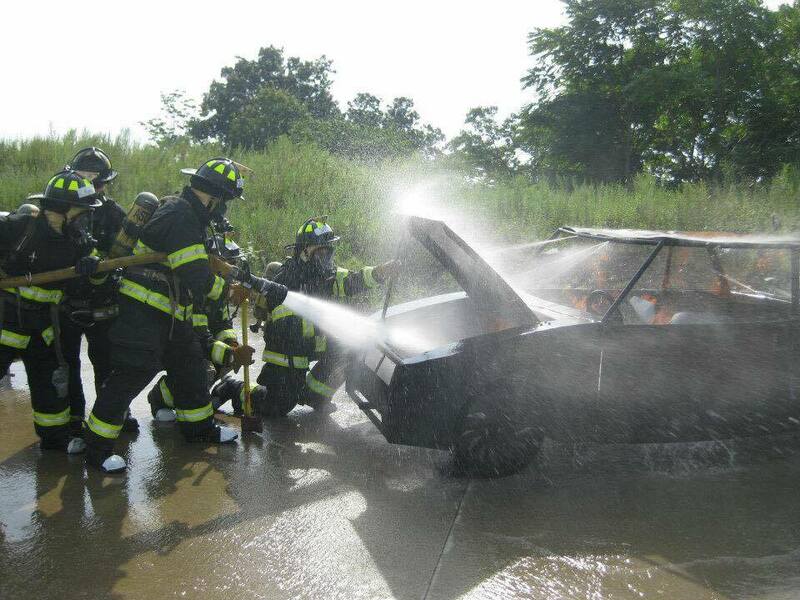 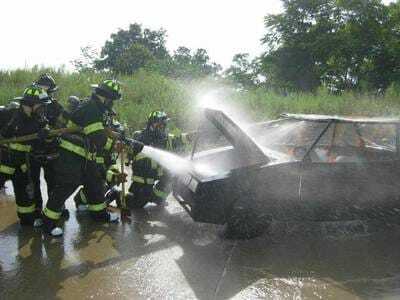 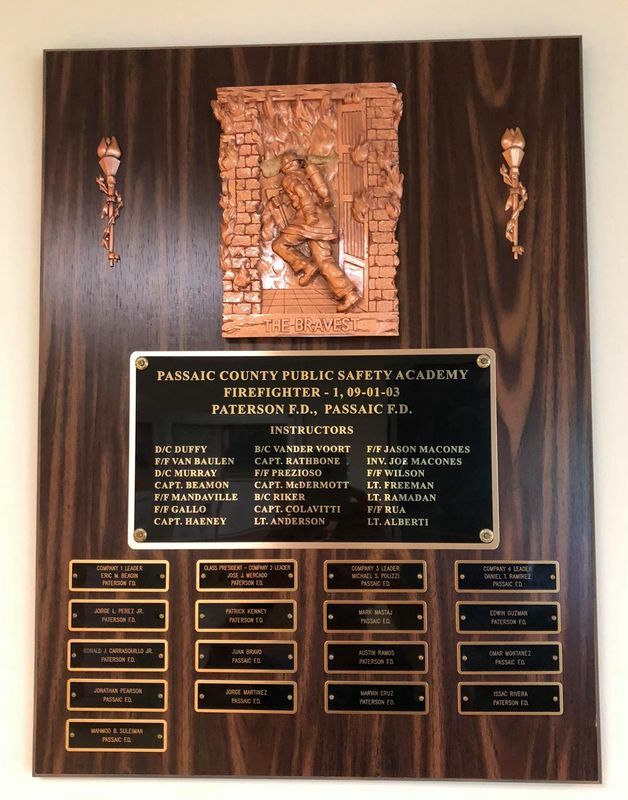 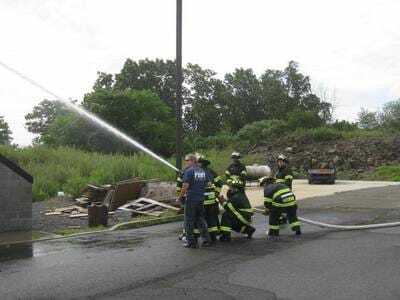 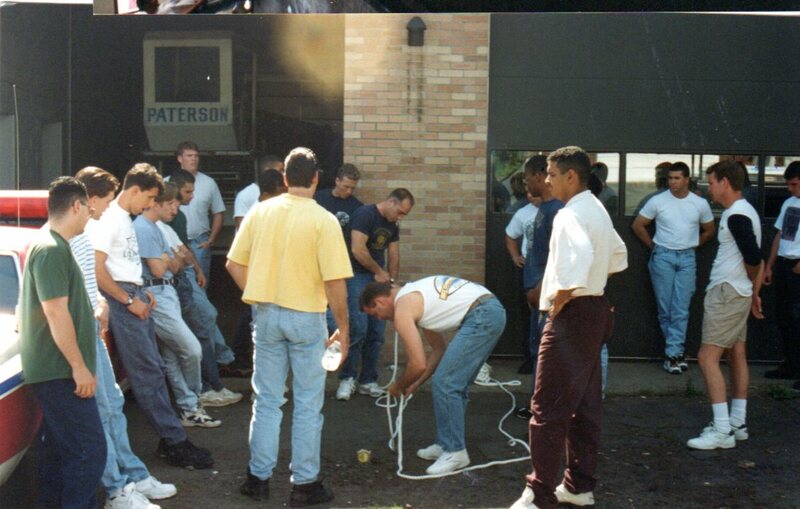 Current training occurs at the Passaic County Public Safety Academy located at 300 Oldham Road, Wayne, NJ. Scroll down to see various classes. L-R: Junior Powell Paul Lauer, Chris Tice, Matt Ganci. 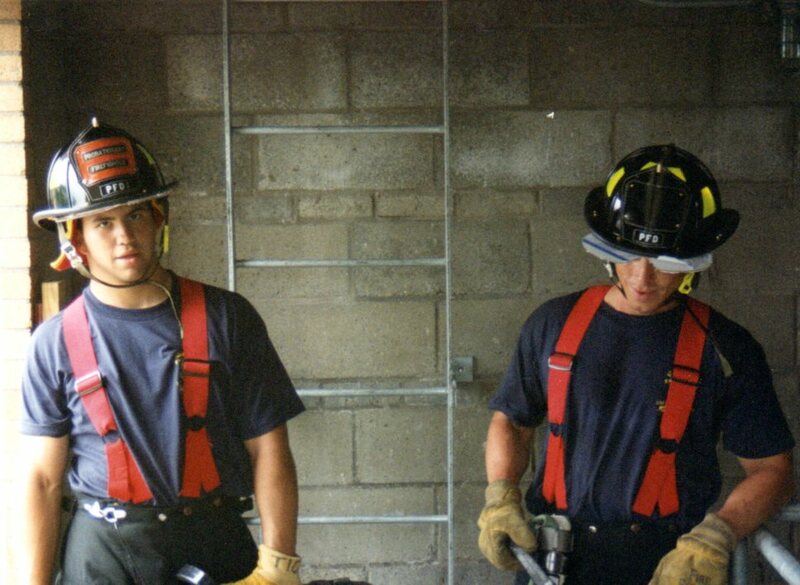 Hector Almeyda (future BC) and Bryan McDermott (future Chief of Department). 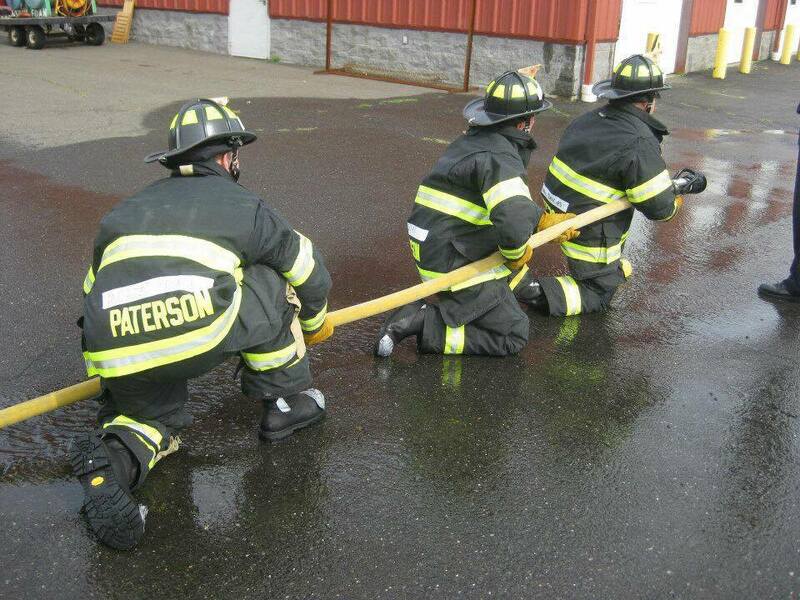 Paul Lauer, Bryan McDermott and Dante Destefano (future Captain). 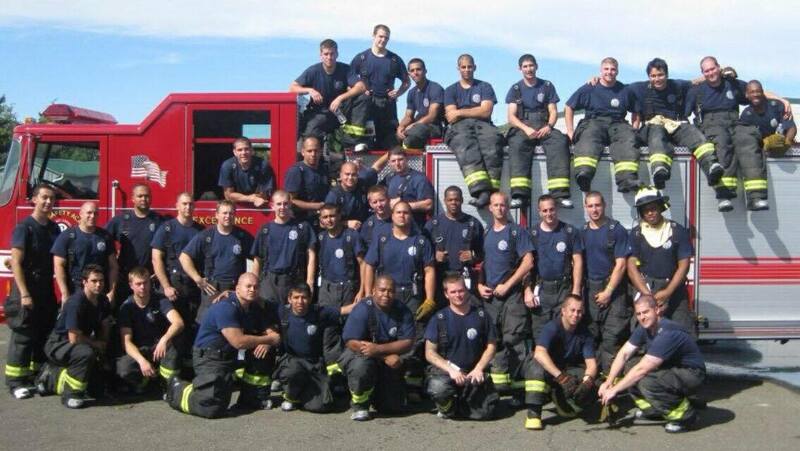 Fire Academy Class of 2016-2: the firefighters were hired February 8, 2016 and they graduated on May 27, 2016. 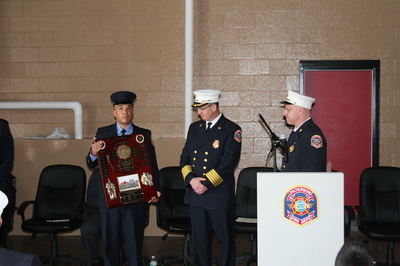 The first two photos show Chief Michael Postorino and DC Kevin Hancock receiving a plaque from the class being represented by their president Josue Lopez. 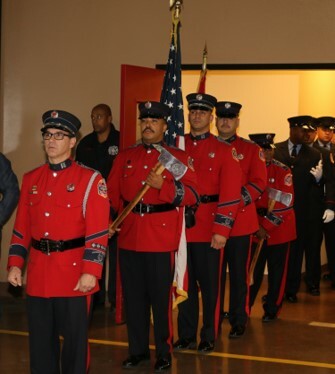 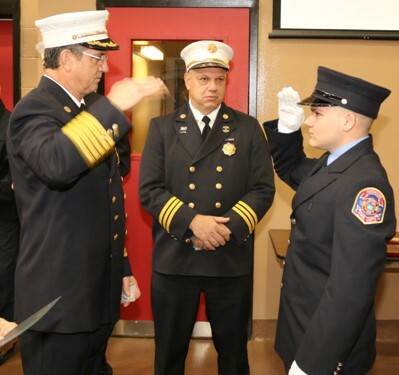 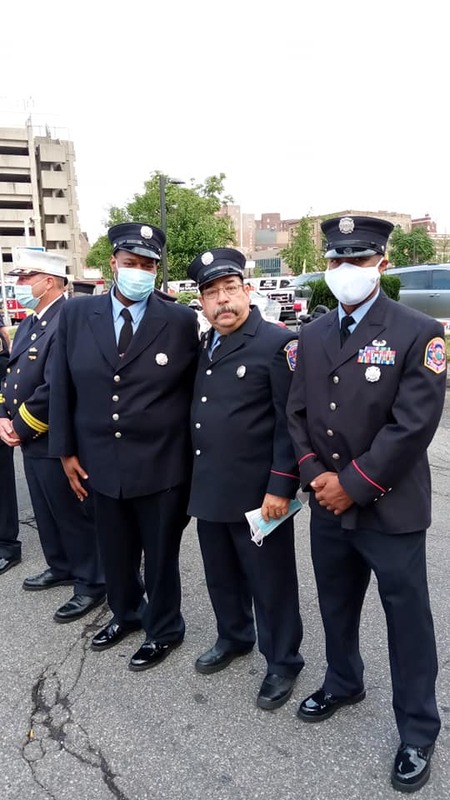 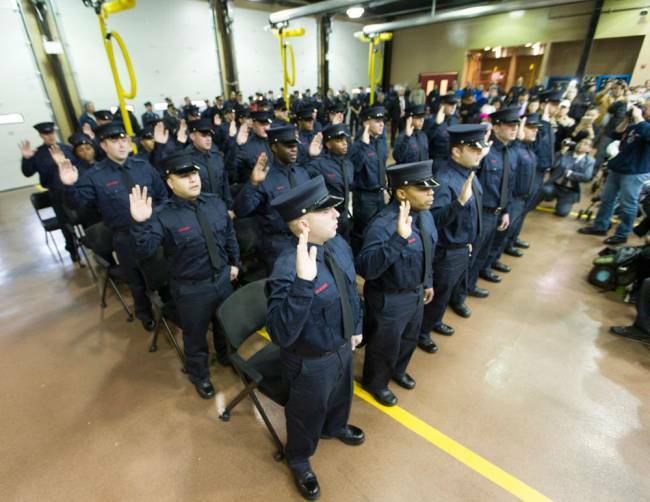 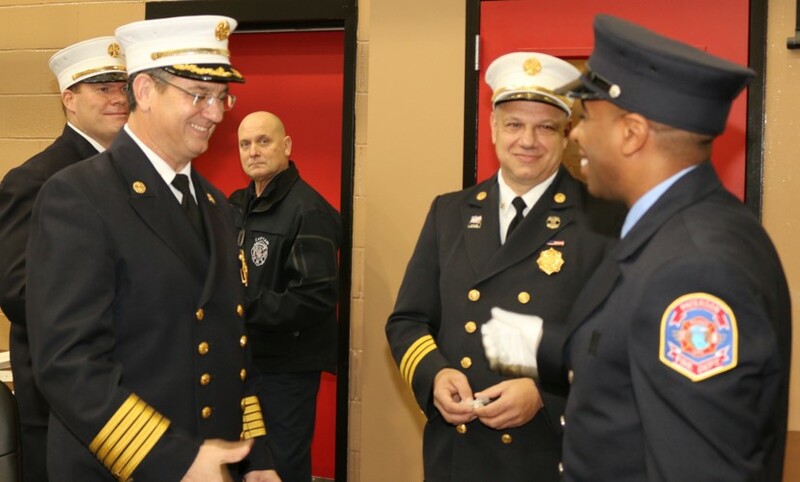 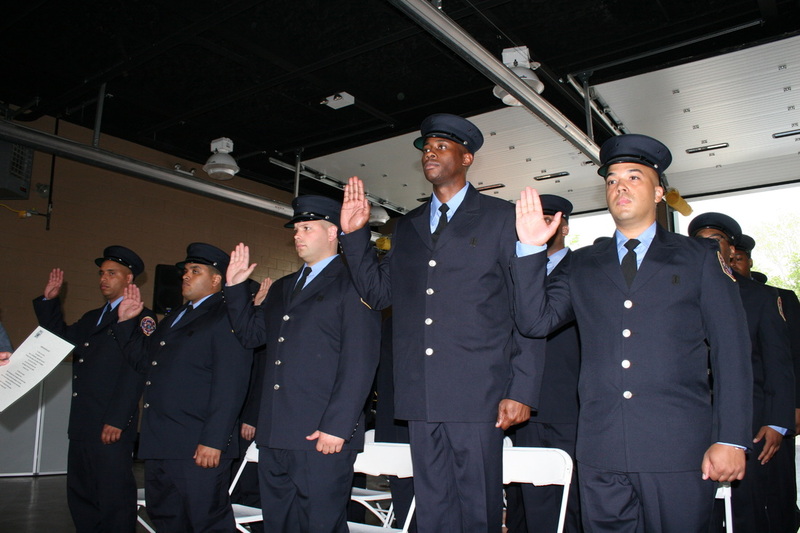 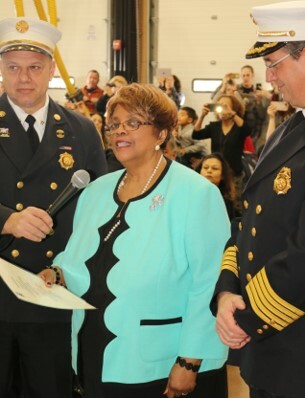 The second photo is the men taking their oath at Fire Headquarters. The rest are photos during the intense training period. 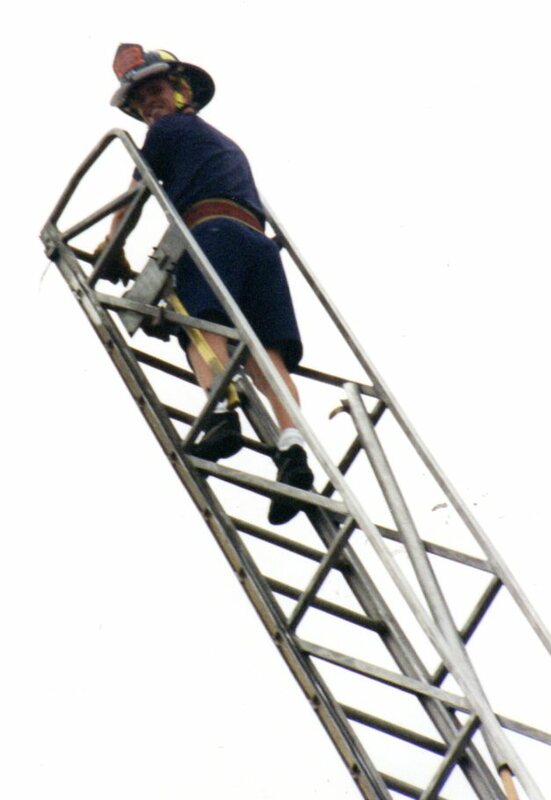 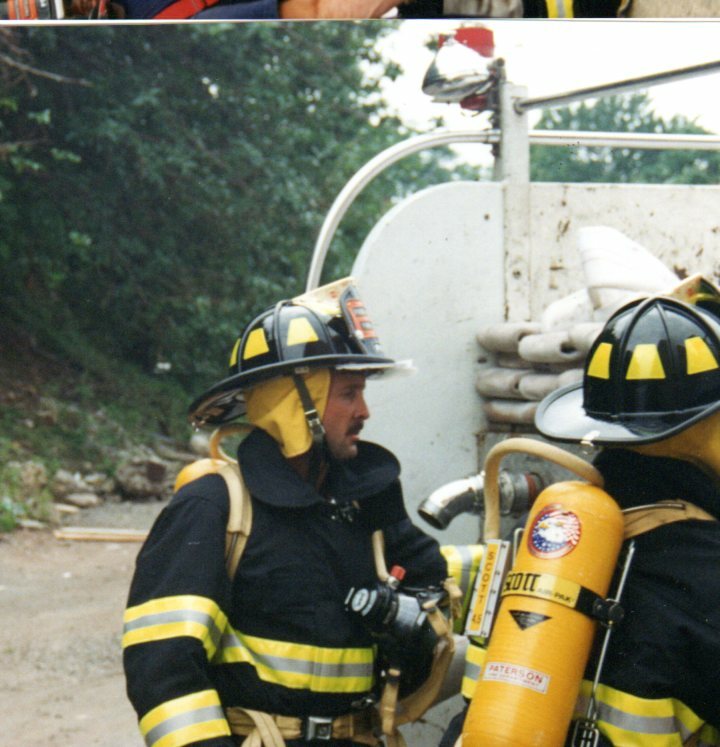 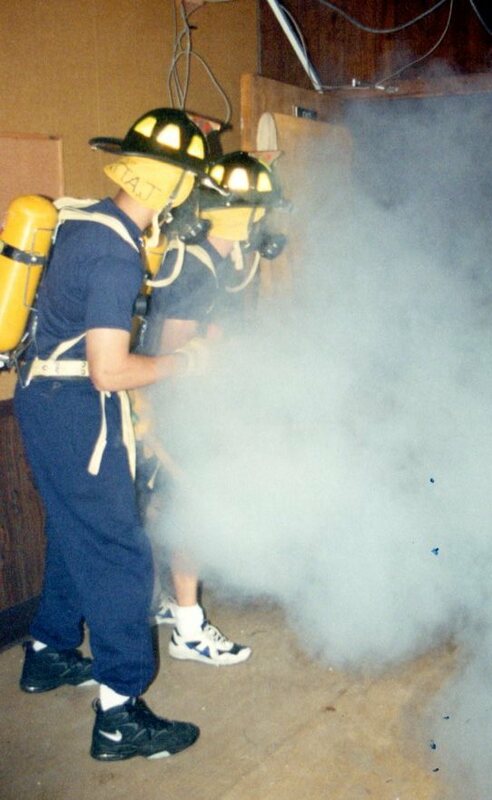 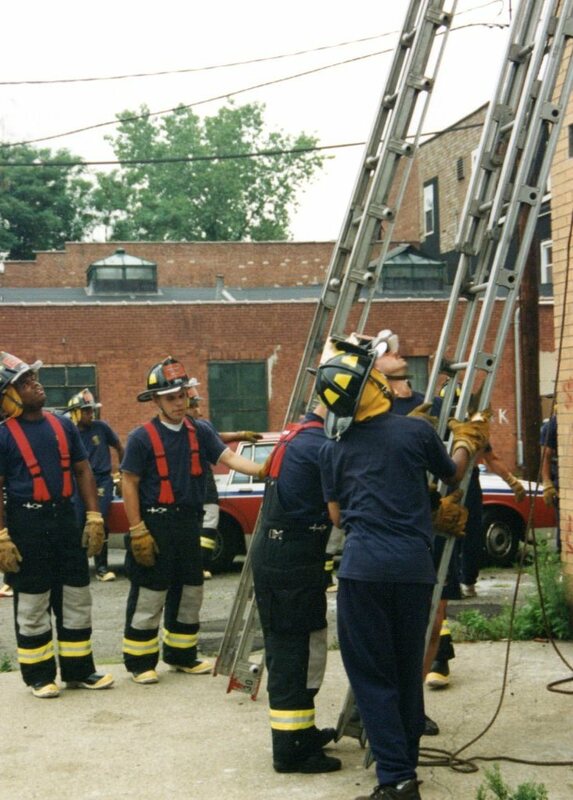 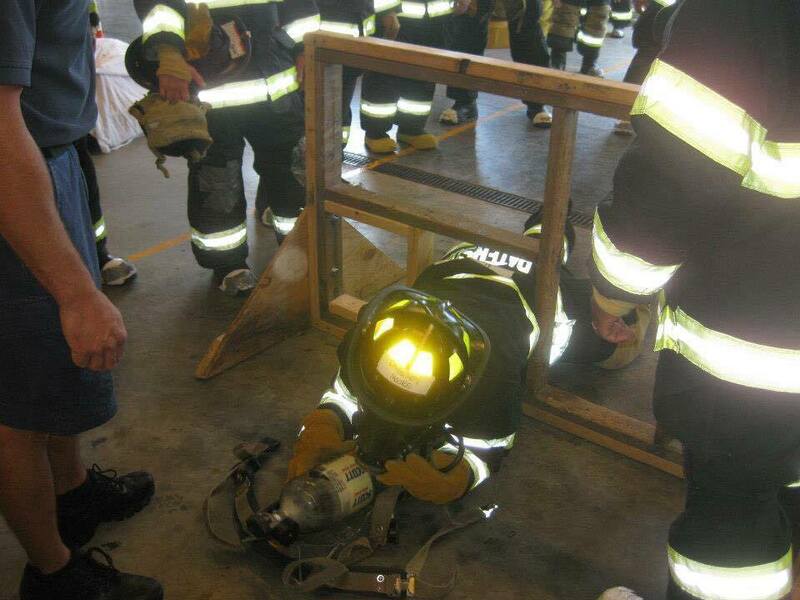 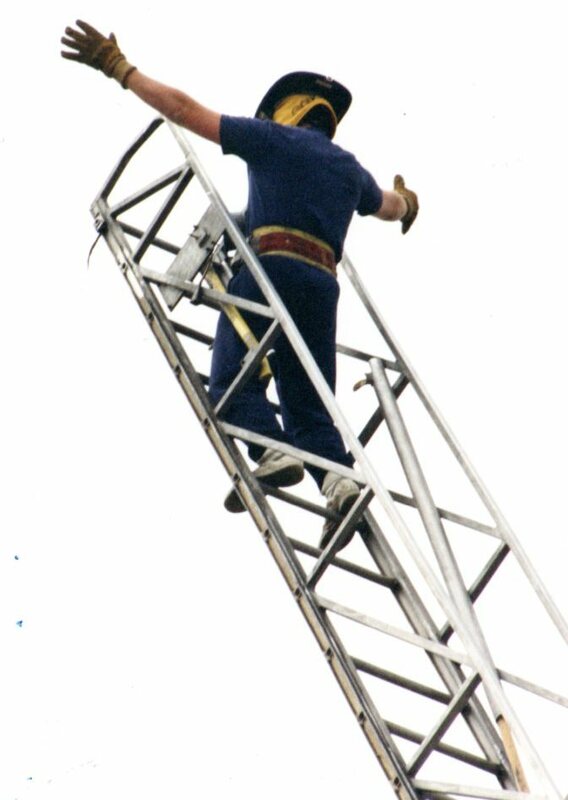 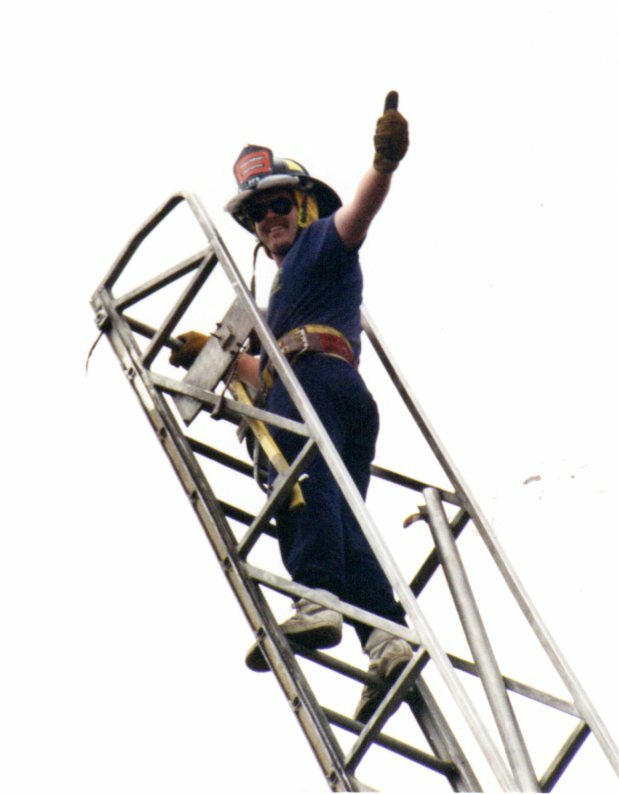 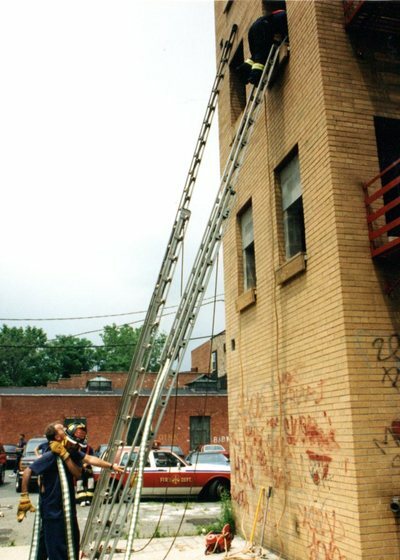 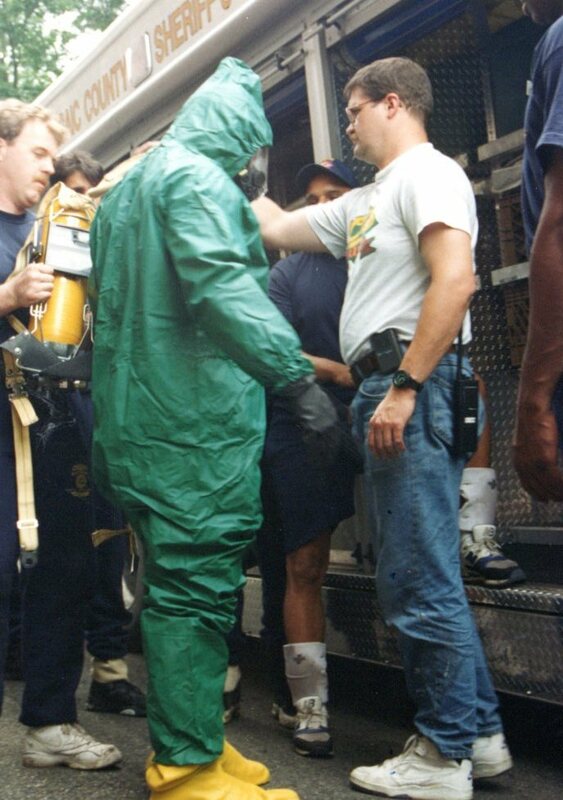 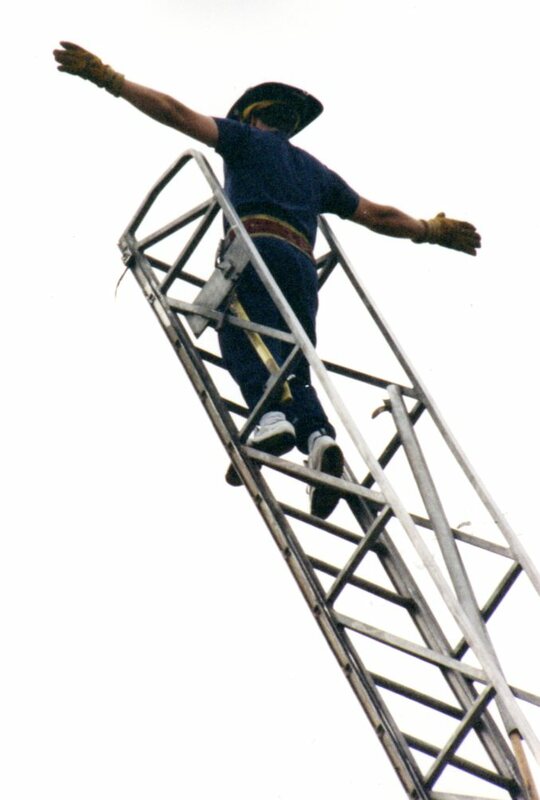 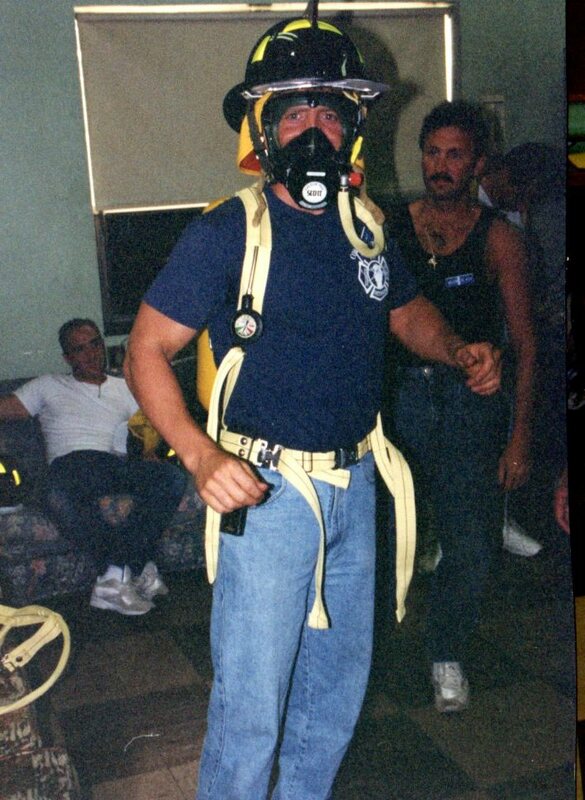 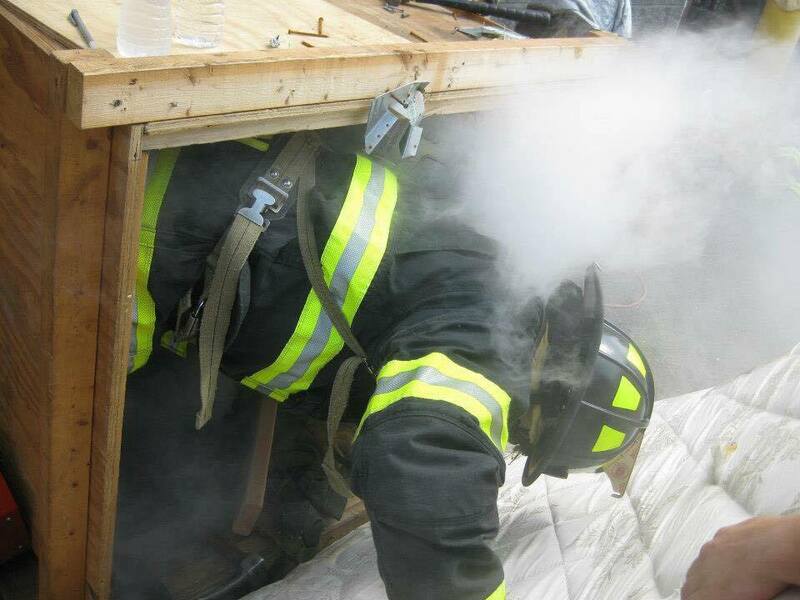 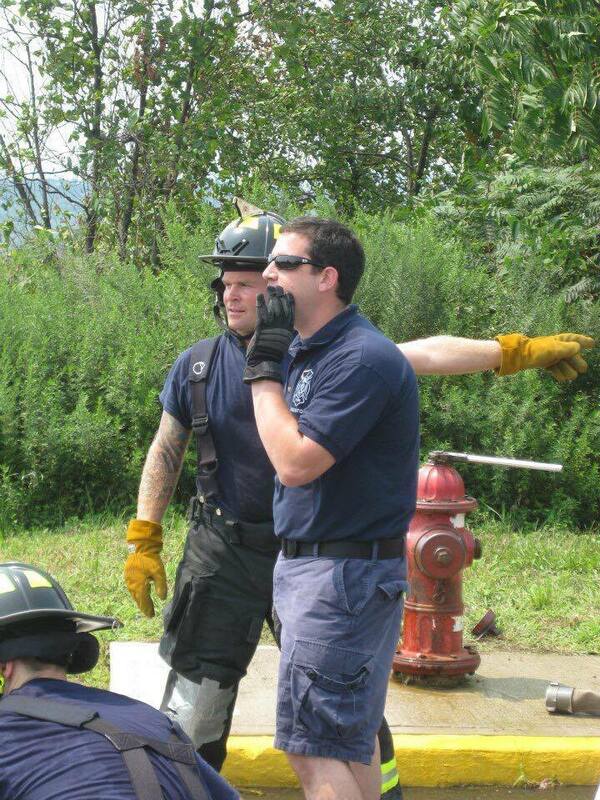 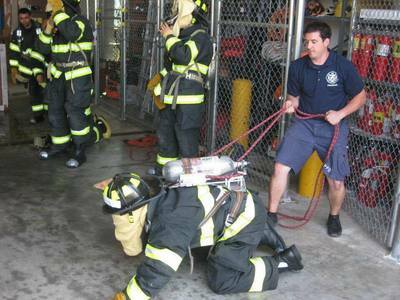 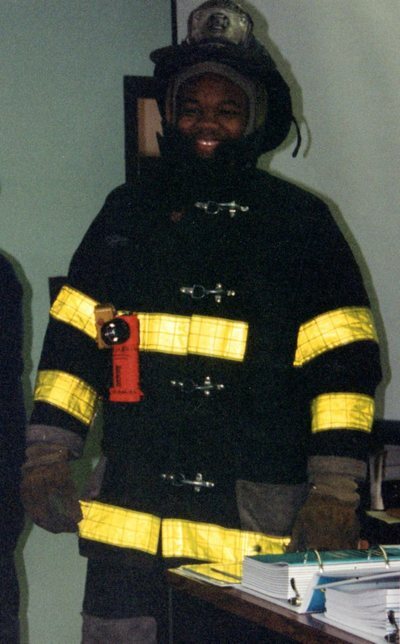 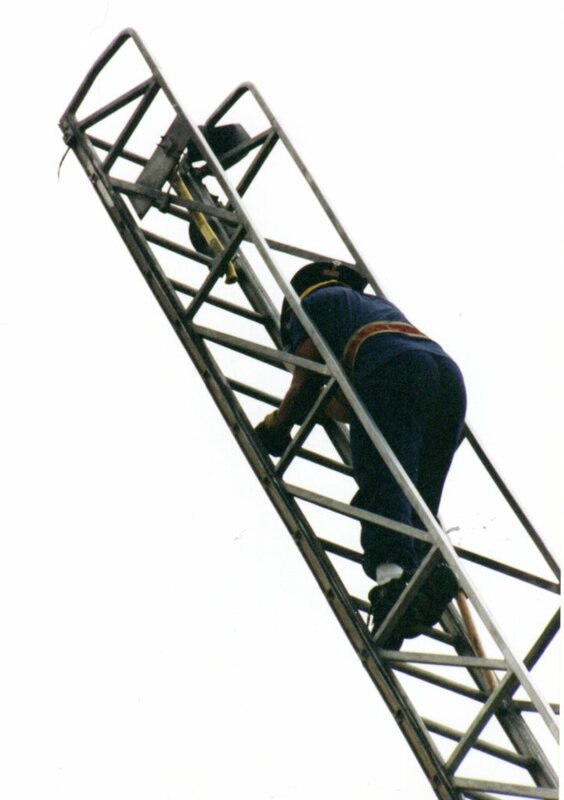 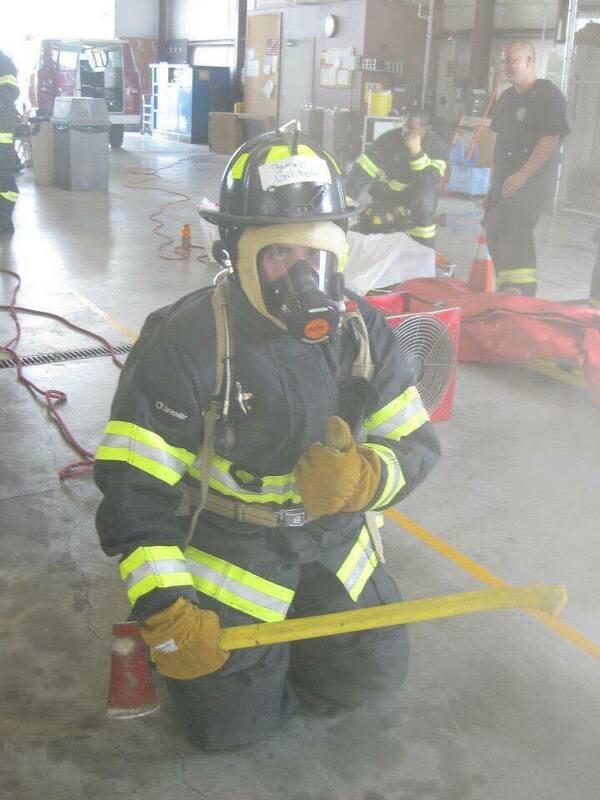 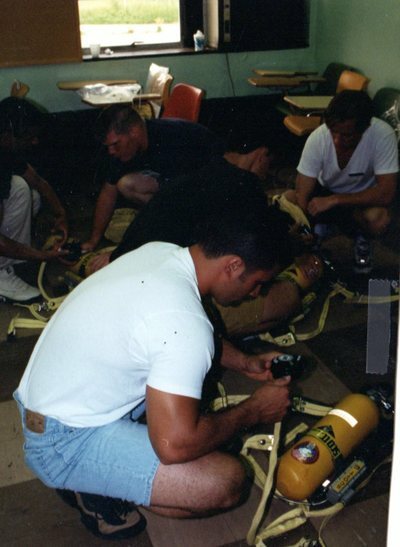 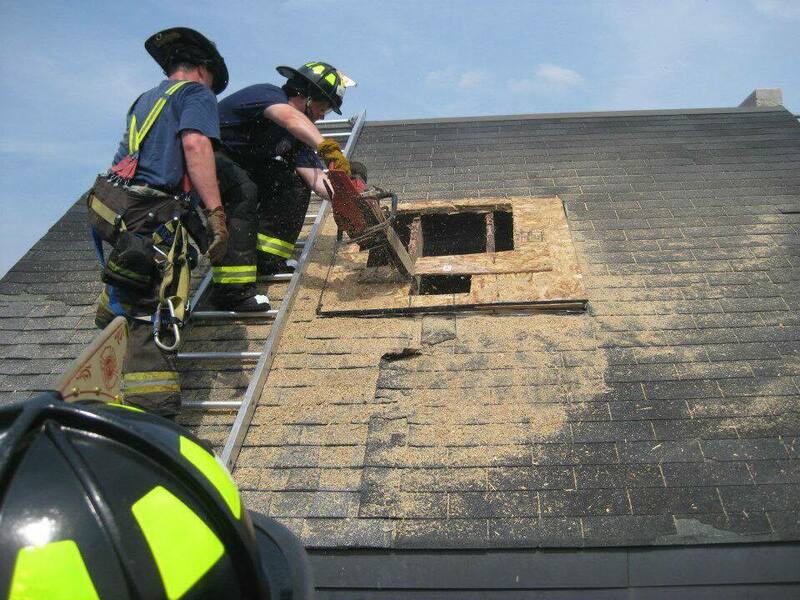 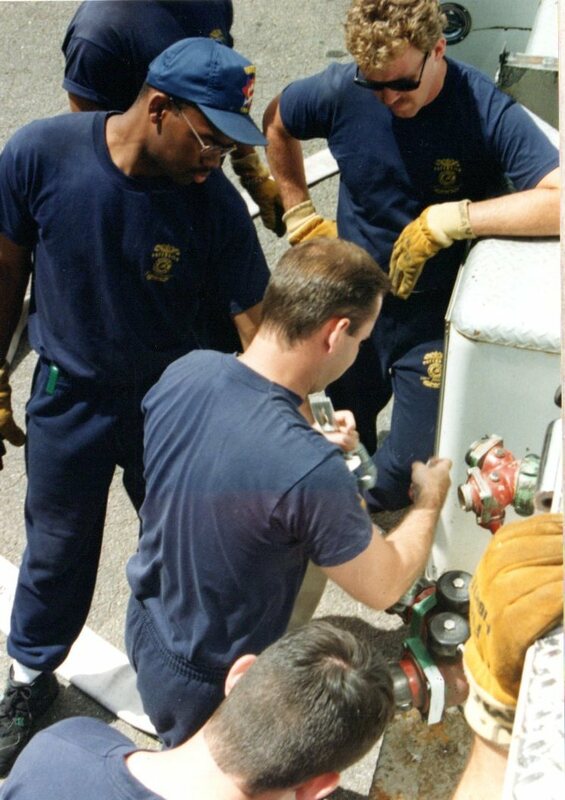 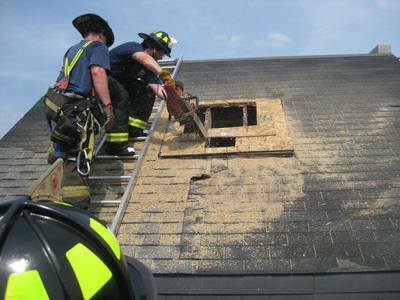 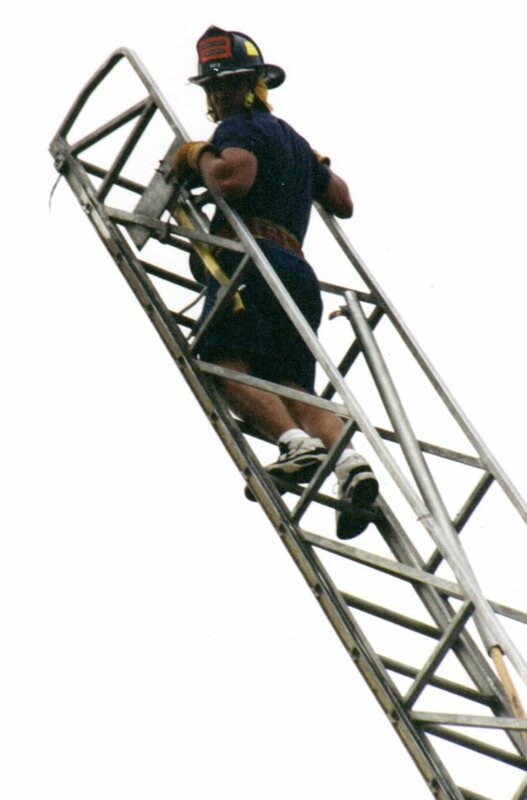 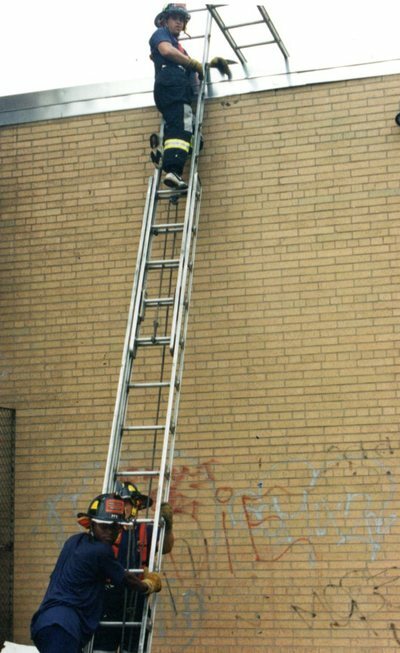 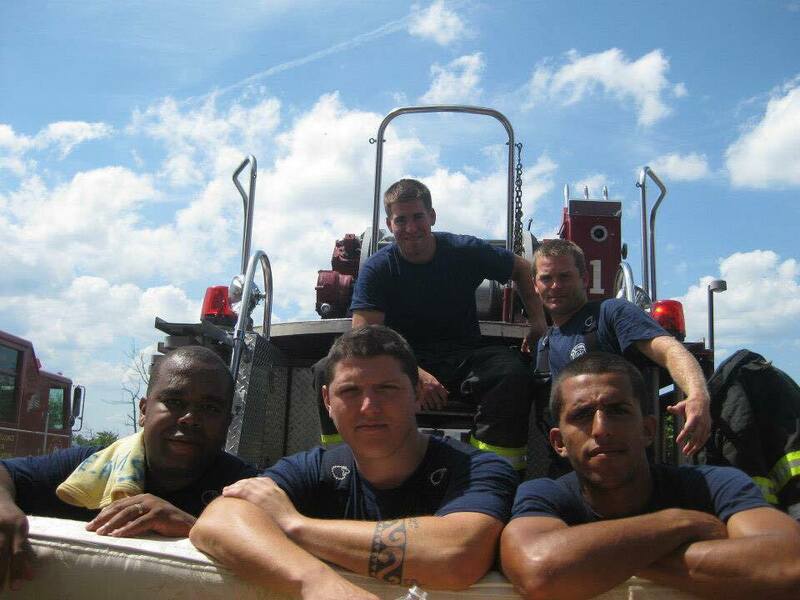 Fire Academy Instructor Chris Mandeville (ret. 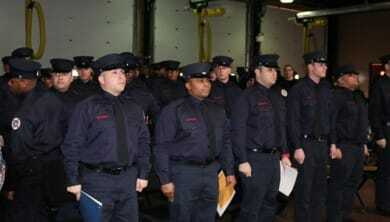 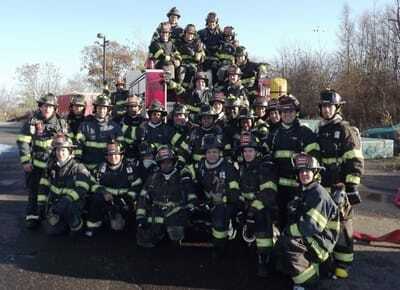 FDNY) formally presents the 2017-1 Academy Class, “ready-for-duty” to Chief Postorino. 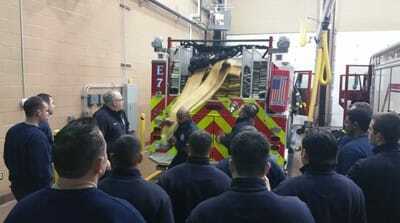 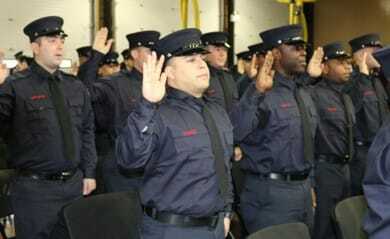 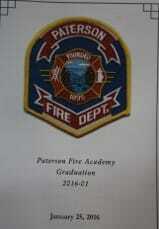 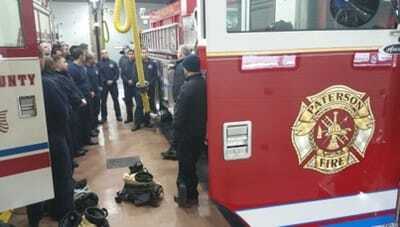 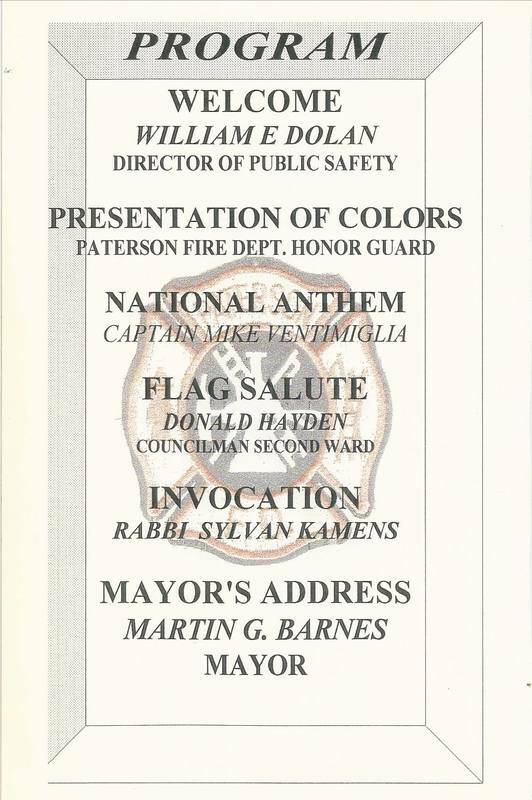 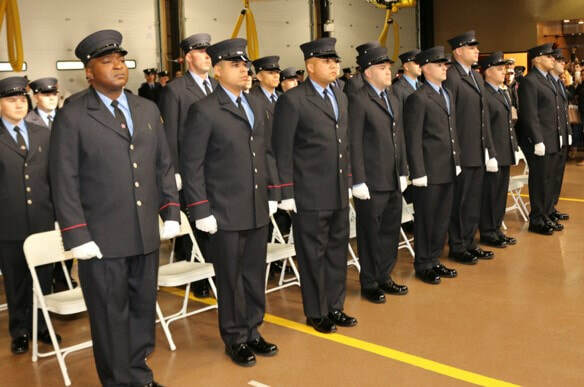 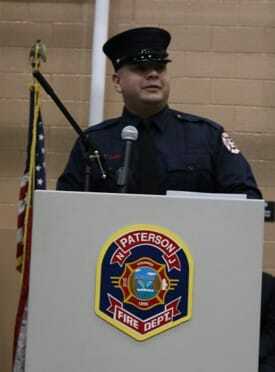 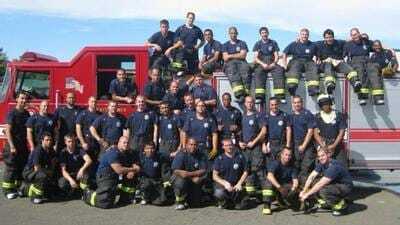 Video of the "28, Loud and Proud" chant by the new group of twenty five new Paterson FF as they were being appointed. 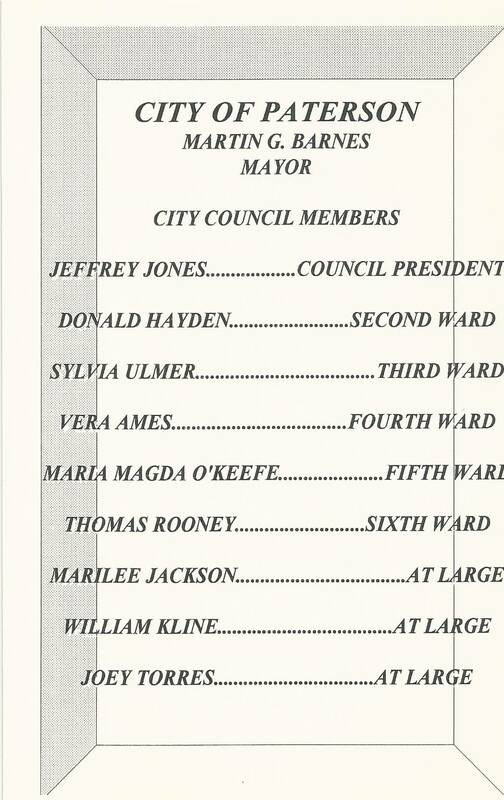 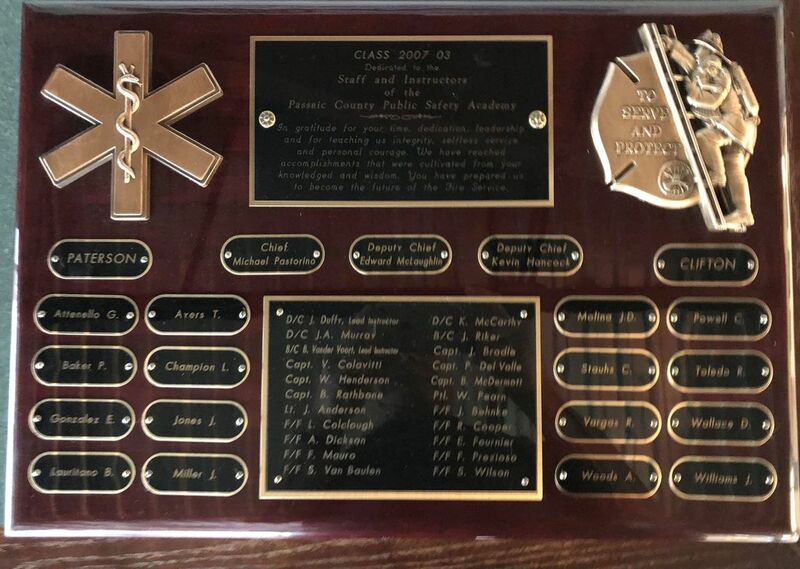 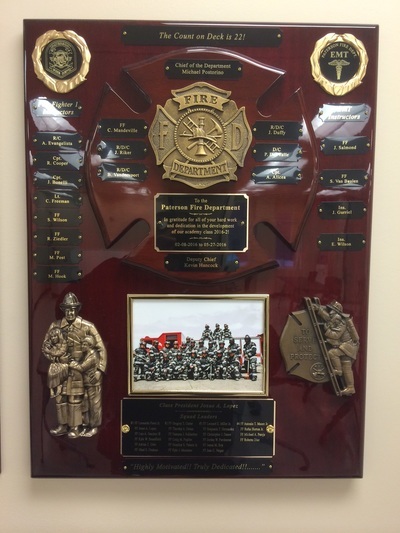 They refer to themselves collectively as "25 for Life" as seen on the plaque below (5 squads of 5 FF each). 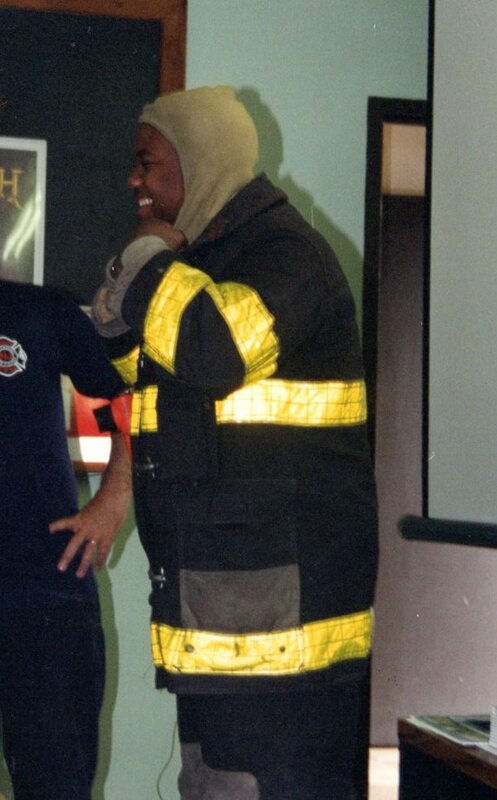 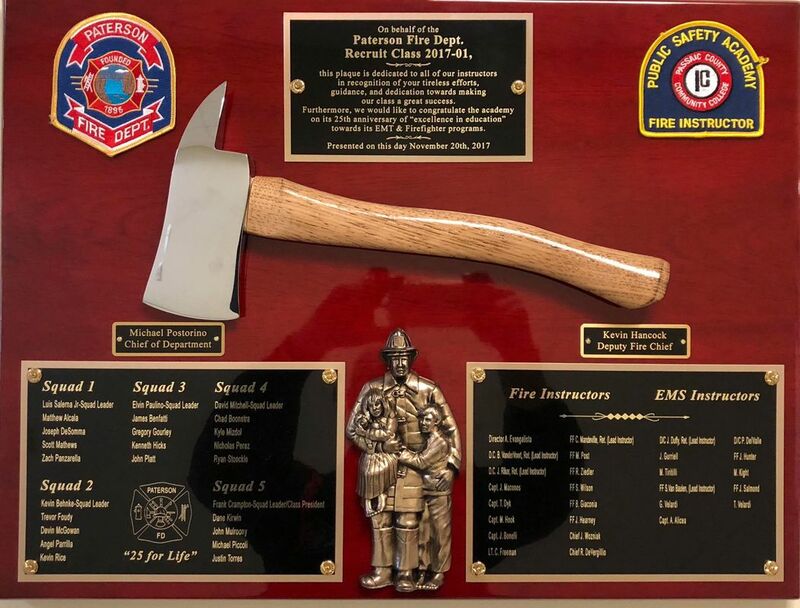 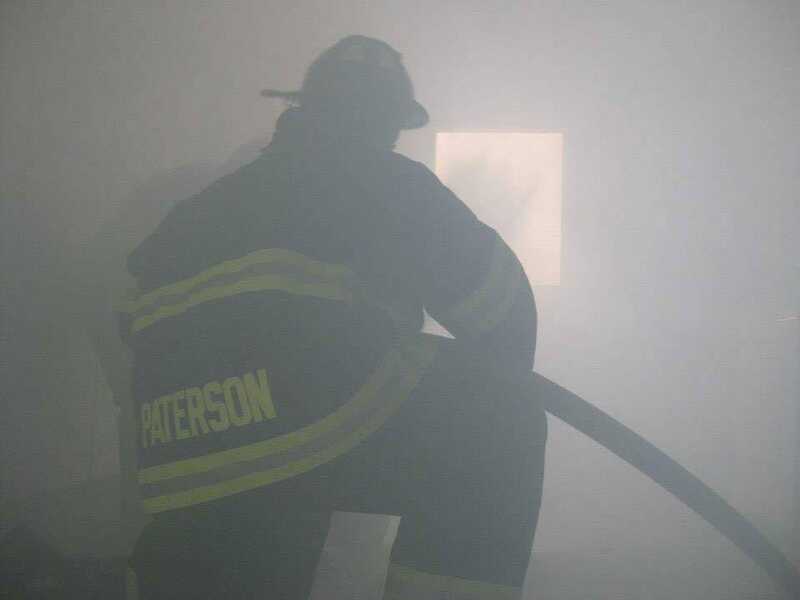 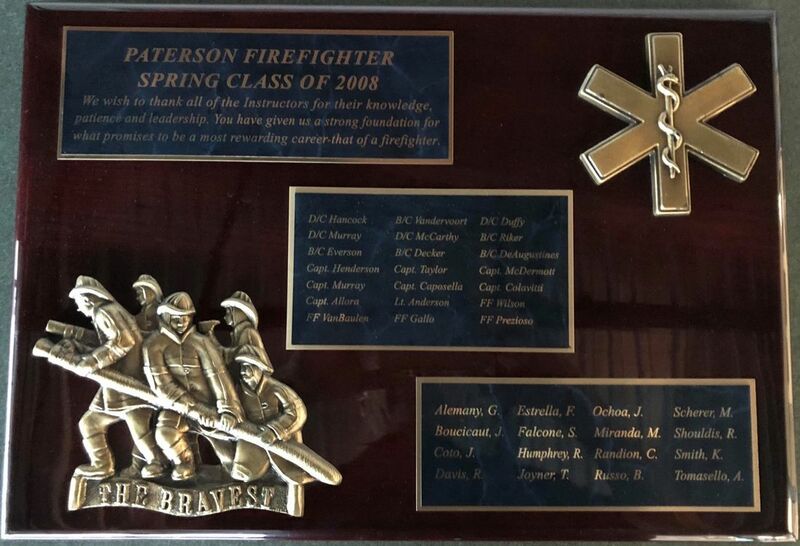 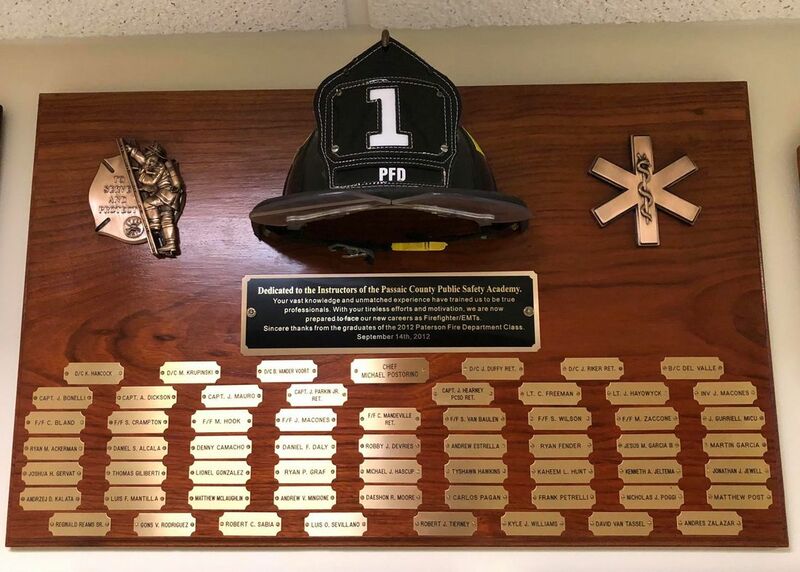 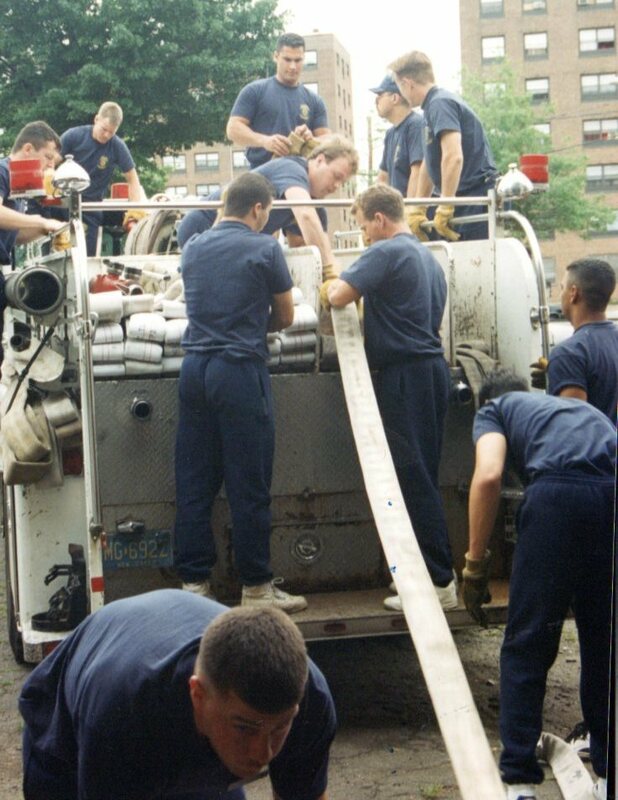 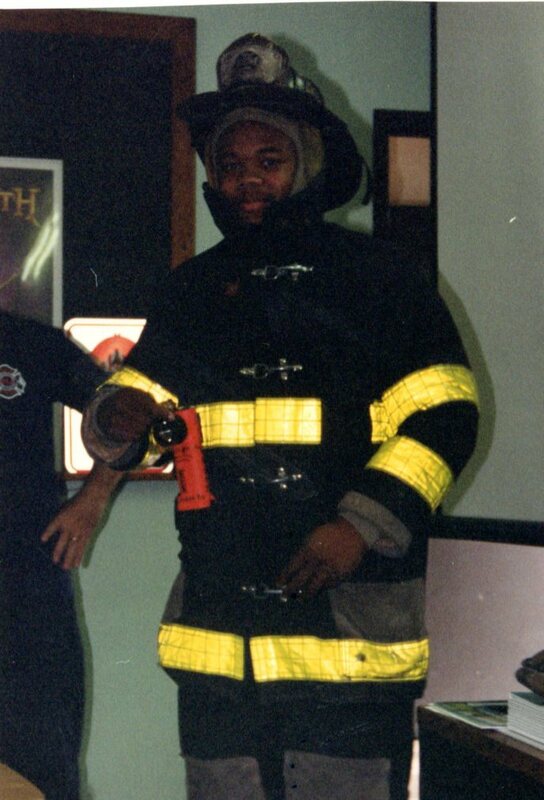 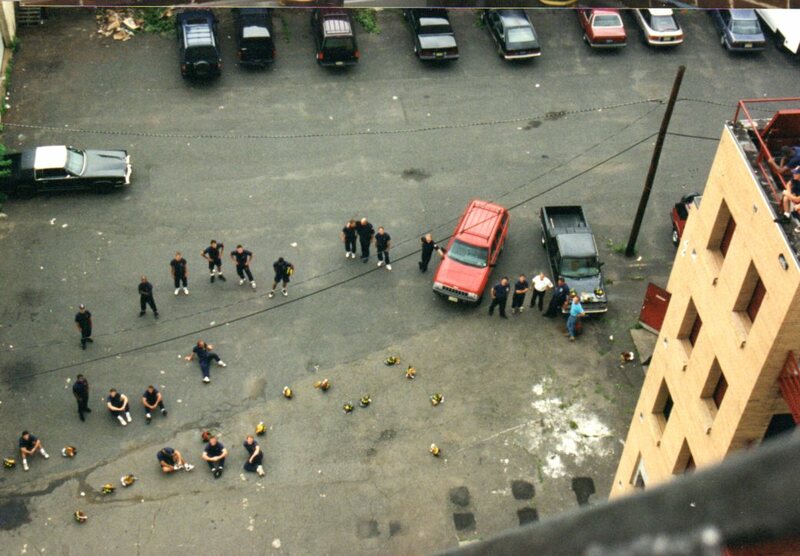 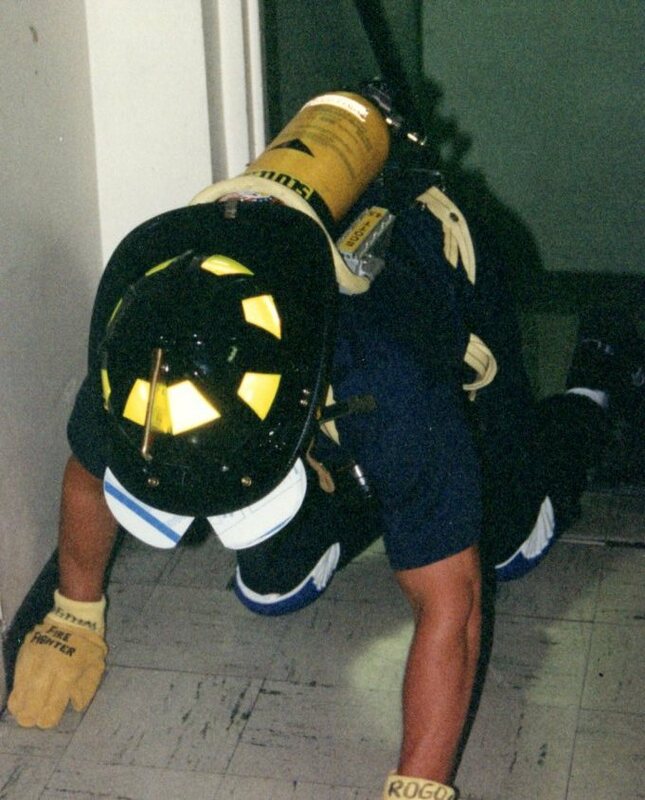 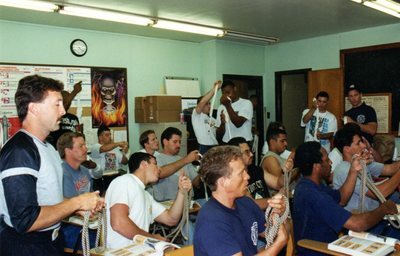 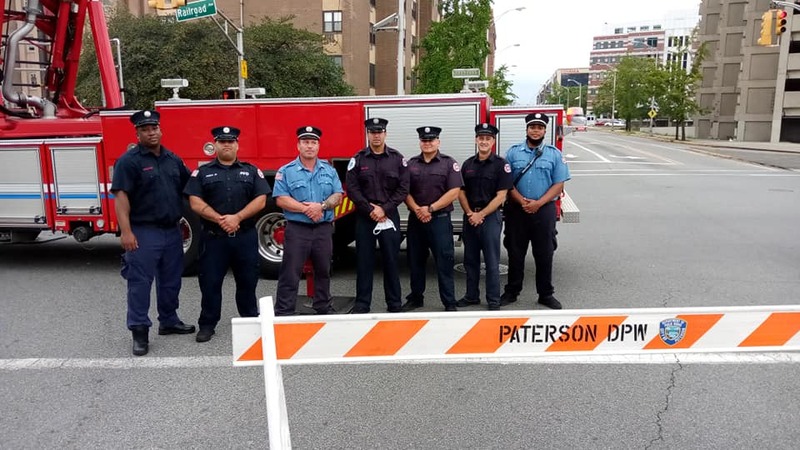 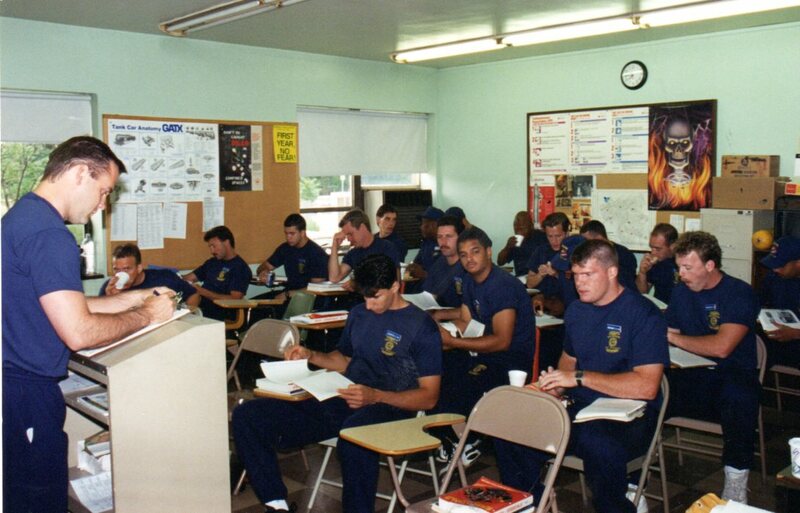 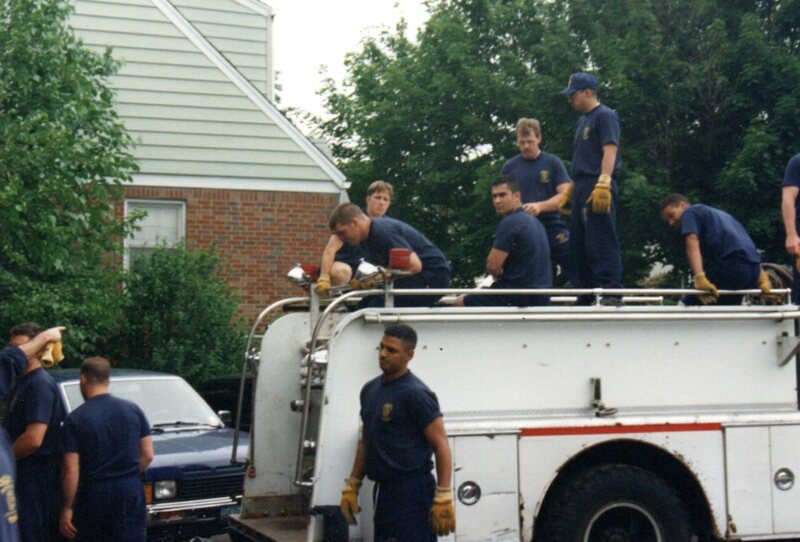 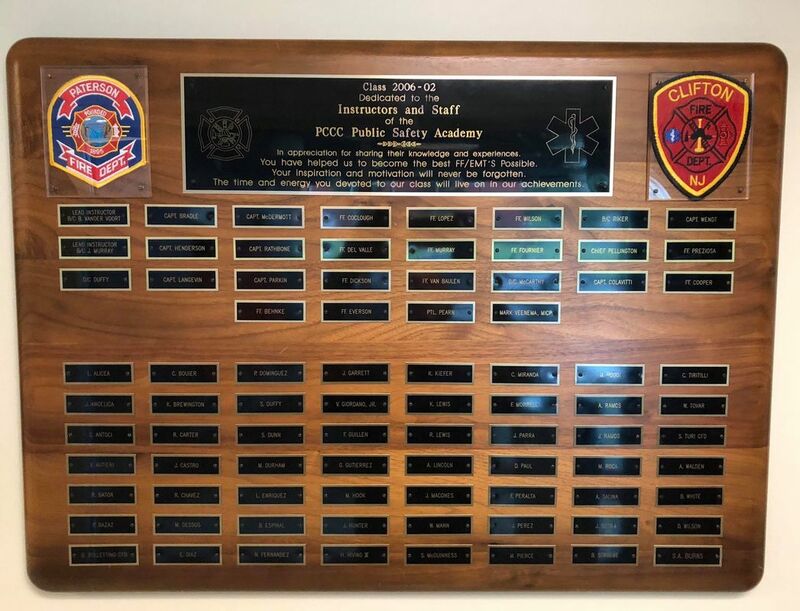 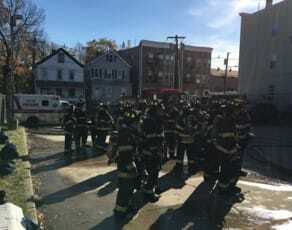 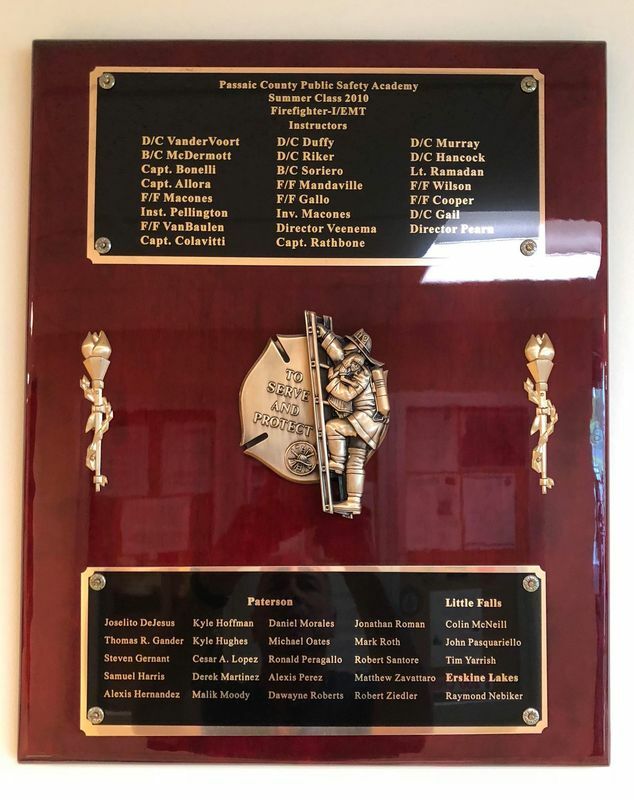 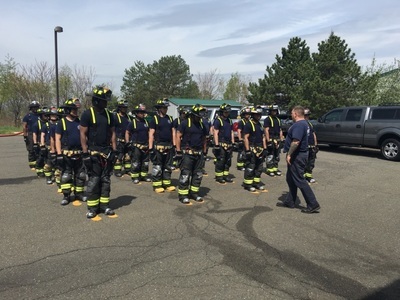 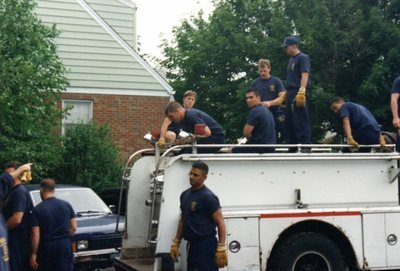 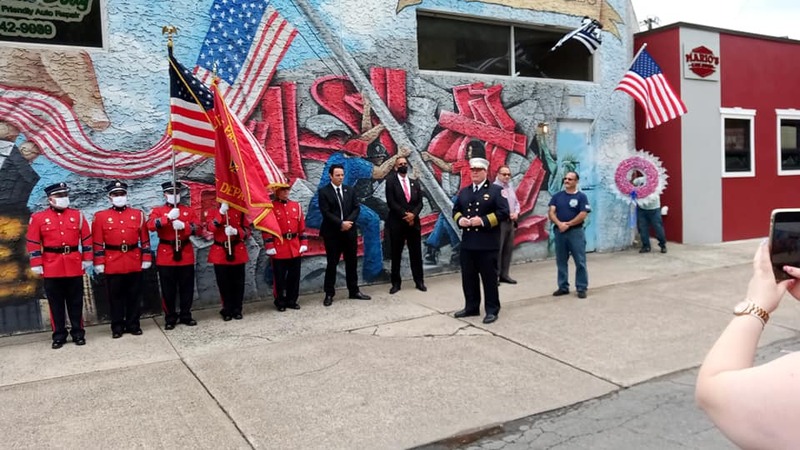 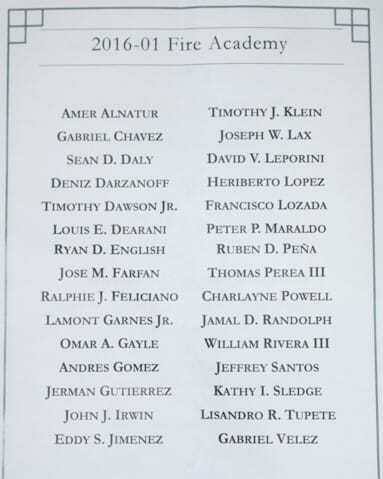 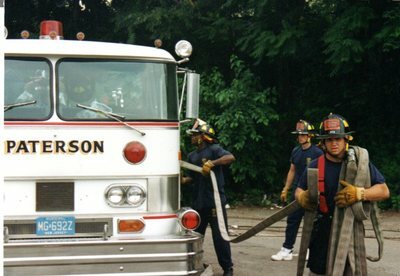 In the video Academy Instructor Chris Mandeville in true military style, loudly shouts out the name of each of the Paterson FF who have made the Supreme Sacrifice (died in the line of duty) - the new FF in precise unison then repeat the departed heroes rank and name and say "PRESENT". 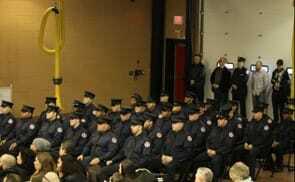 At the conclusion, Instructor Mandeville turns to Chief Postorino and declares the class fit for duty. 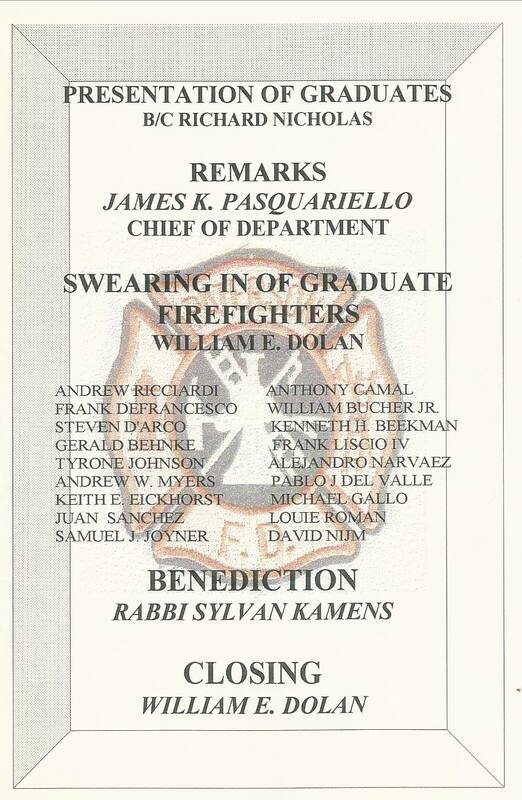 Everyone who was present describes this as to be extremely moving. 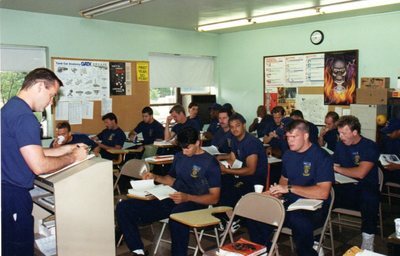 Academy Staff (L-R) Ret. DC John Riker (Newark FD), Ret. 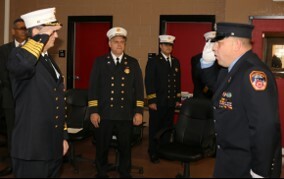 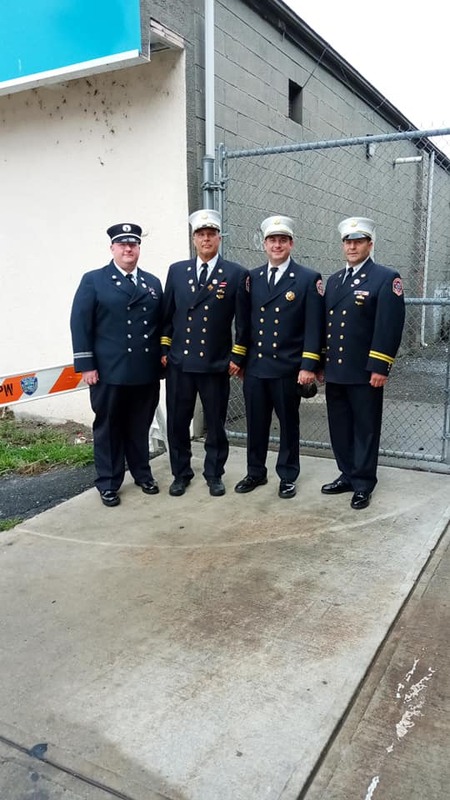 DC Bruce Vander Voort (Paterson FD), Fire Academy Director Al Evangalista, & Capt. 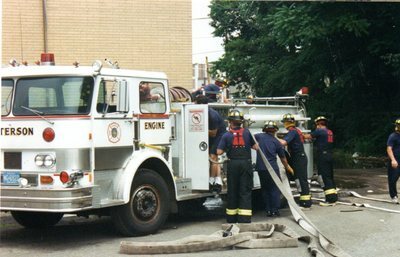 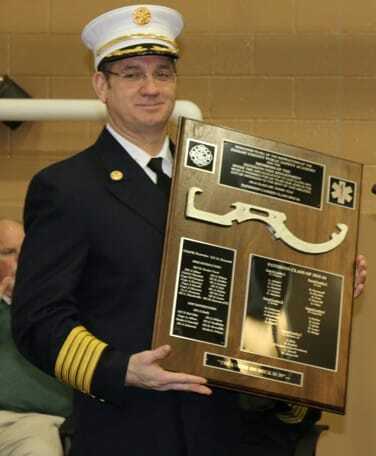 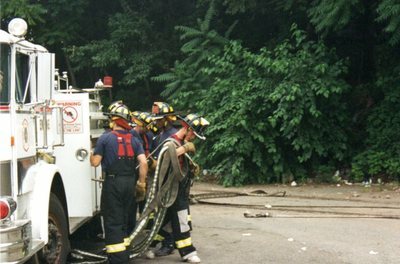 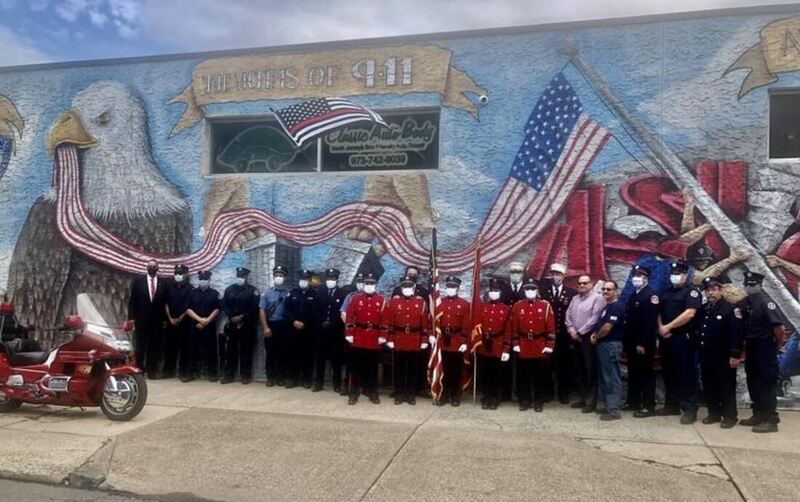 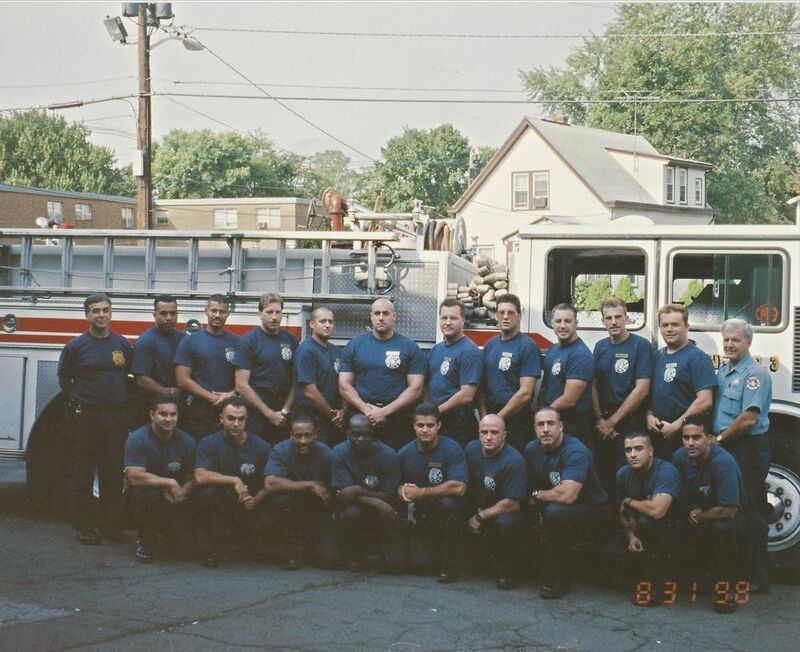 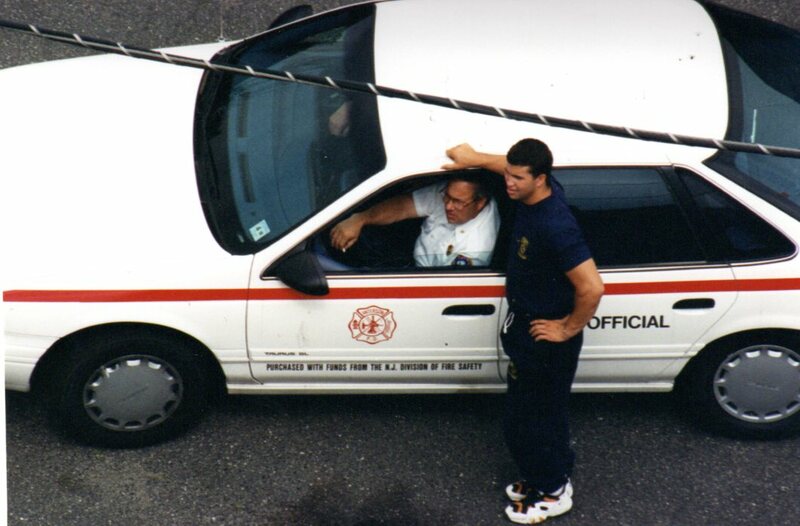 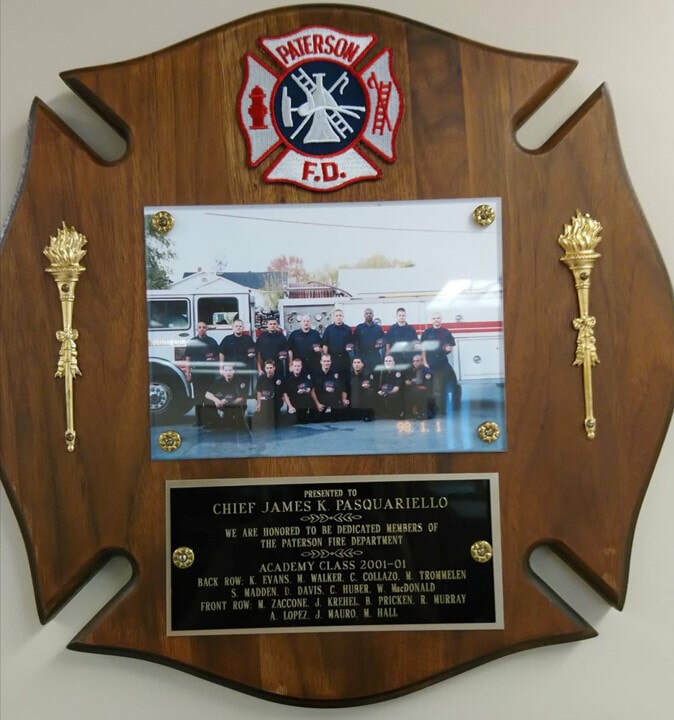 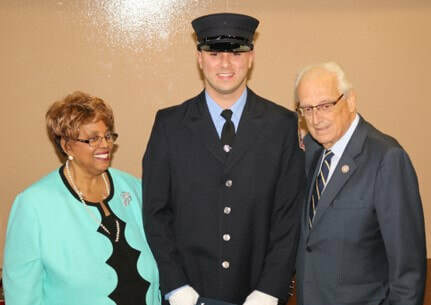 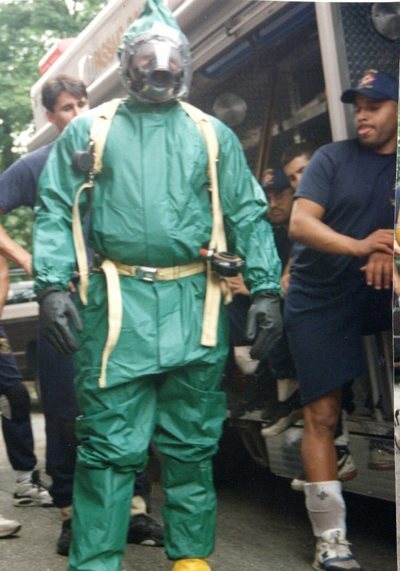 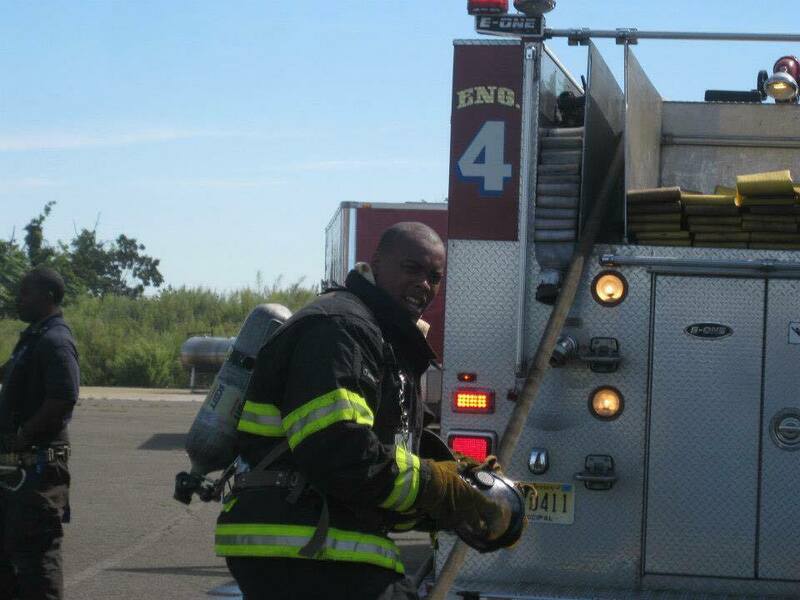 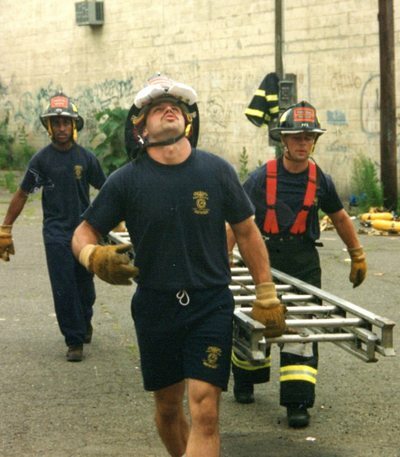 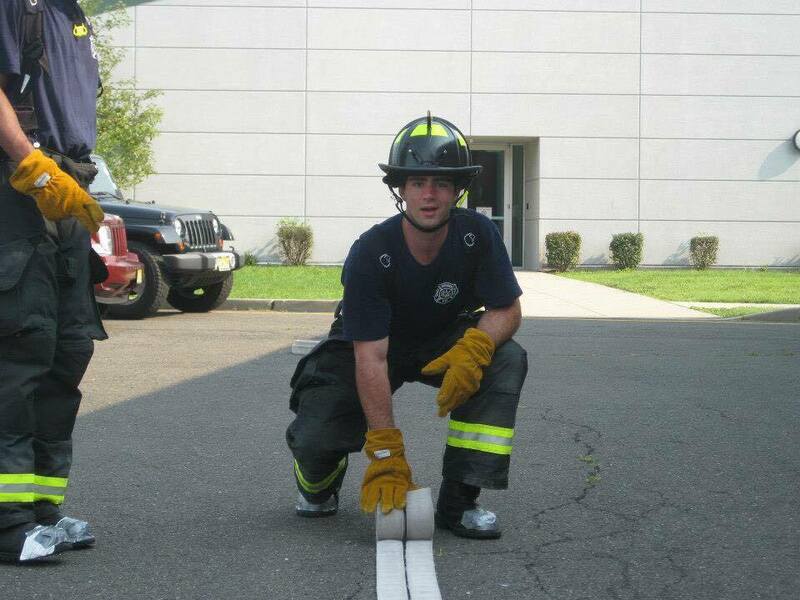 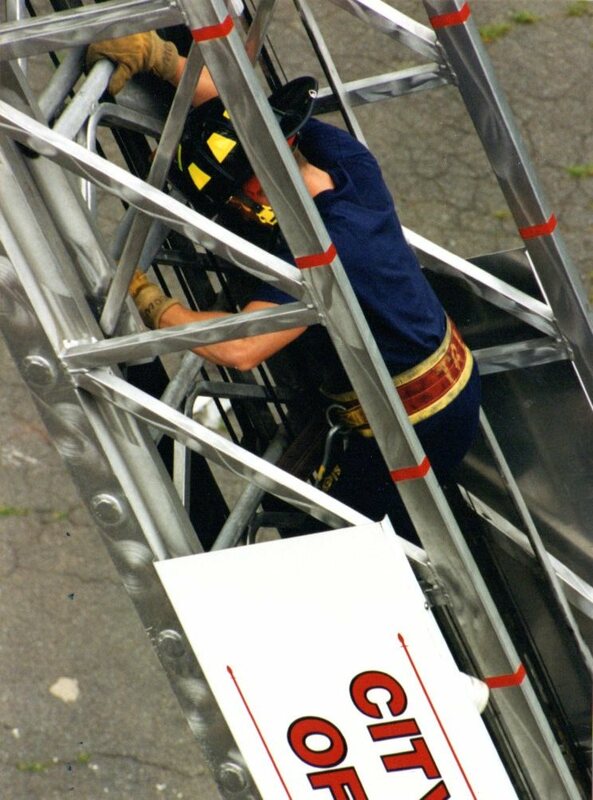 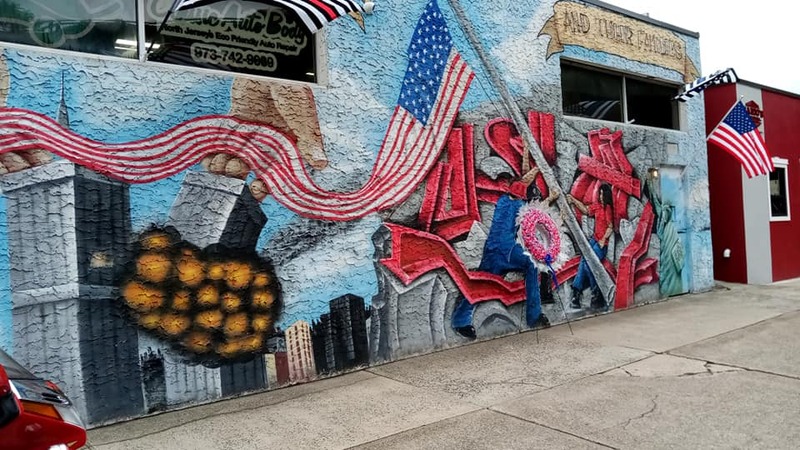 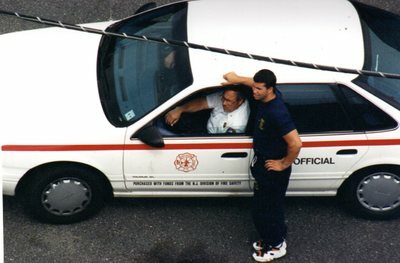 James Bonelli (Passaic FD).